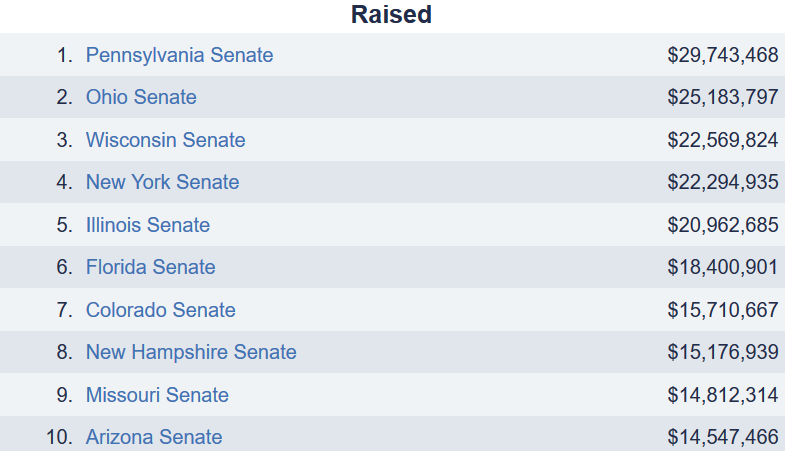 Campaign finance reform has been the rallying cry of only one candidate this election cycle – Sen. Bernie Sanders. 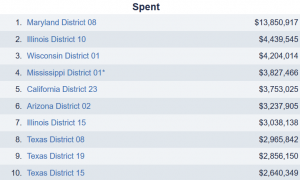 He emphasizes his campaign’s dependence on individual contributions averaging $27 each. He has called for the need to overturn the Citizens United Supreme Court decision to correct the abuse and corruption endemic in our campaign finance system. 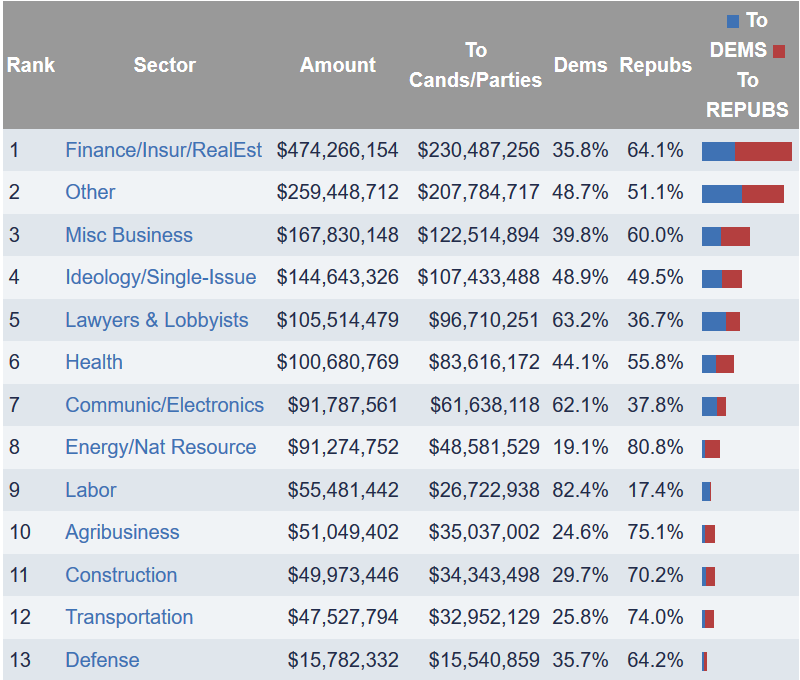 From The Center for Responsive Politics, the numbers back up his claims that campaign spending is wildly out of control. 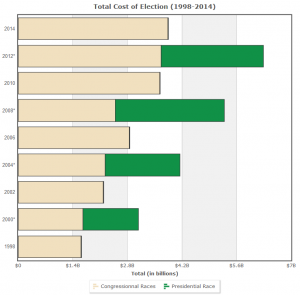 Every election cycle brings its own brand of excitement — and lots of money. 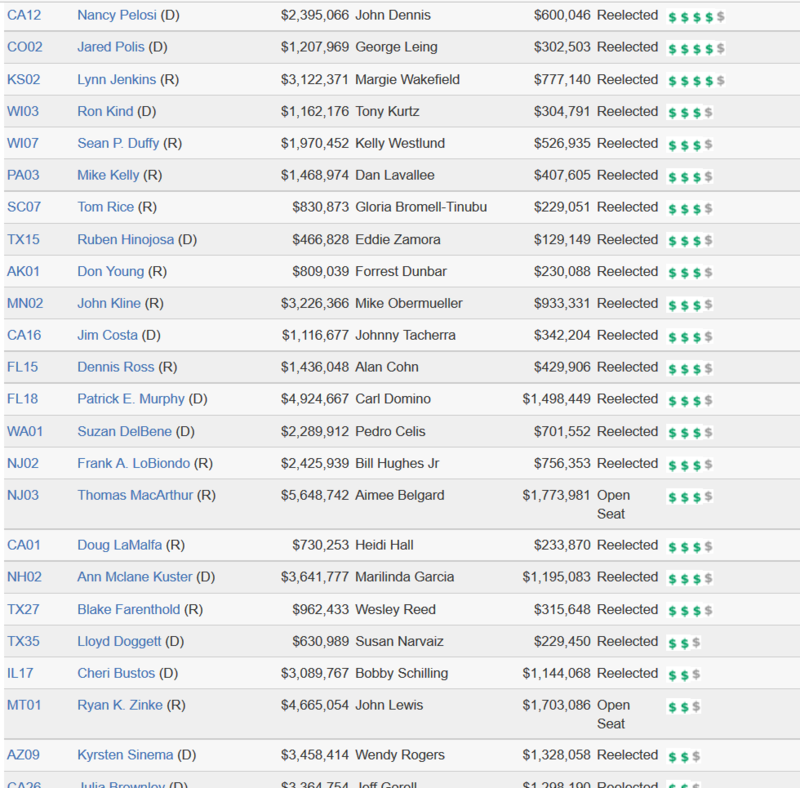 For past cycles as well as the current one, here’s where you can find out who raised the most, where it came from, the most (and least) expensive races, top donors, how incumbents did versus challengers and more. 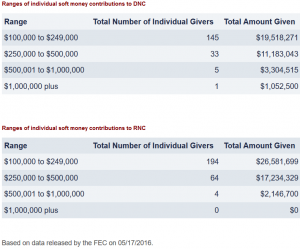 Based on data released by the FEC on 05/17/2016. 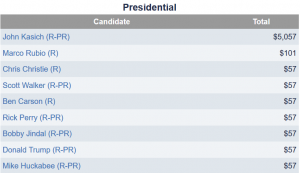 Figures include all candidates who have filed reports. 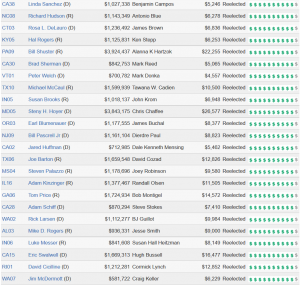 Political action committees have one overriding mandate: get the most bang for the buck. 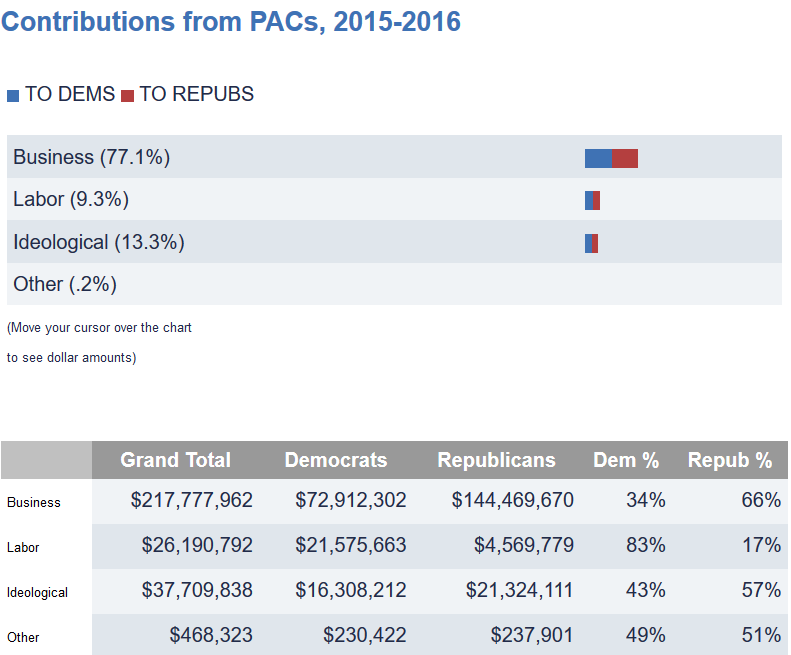 To maximize their dollars, nearly all PACs – particularly those of business groups – give the overwhelming proportion of their campaign dollars to incumbents. 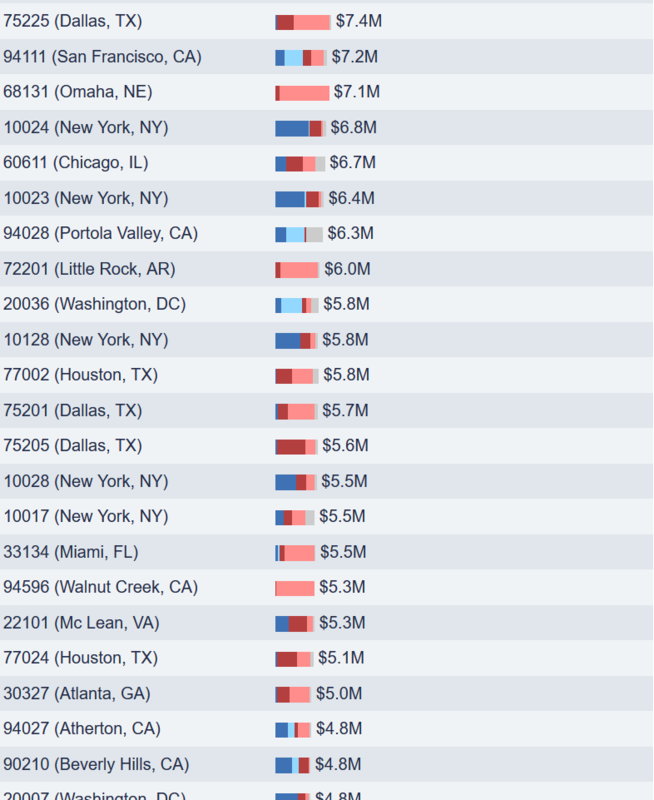 With congressional re-election rates typically in the 90 percent range, from their point of view that’s a sound investment. 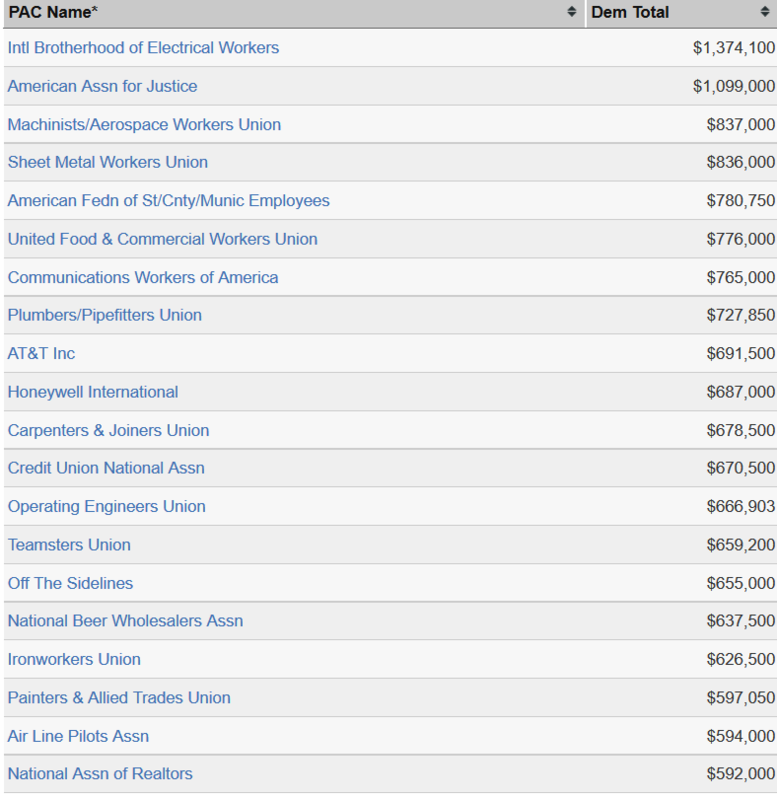 Labor groups also give heavily to incumbents. 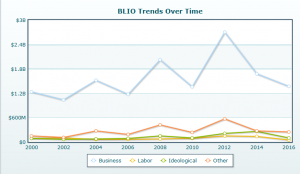 Ideological groups, on the other hand, are much more likely to take a chance on political newcomers. 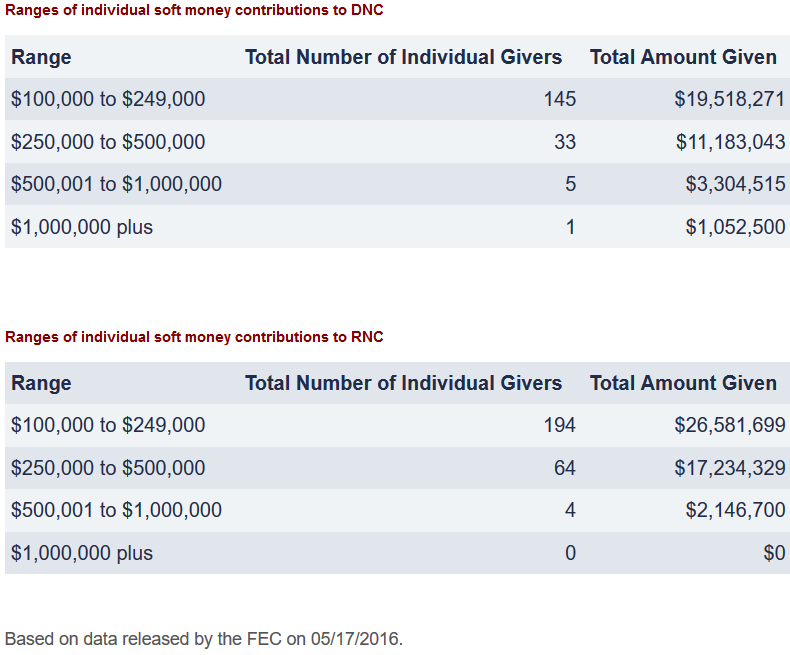 Based on data released by the FEC on 05/17/2016. 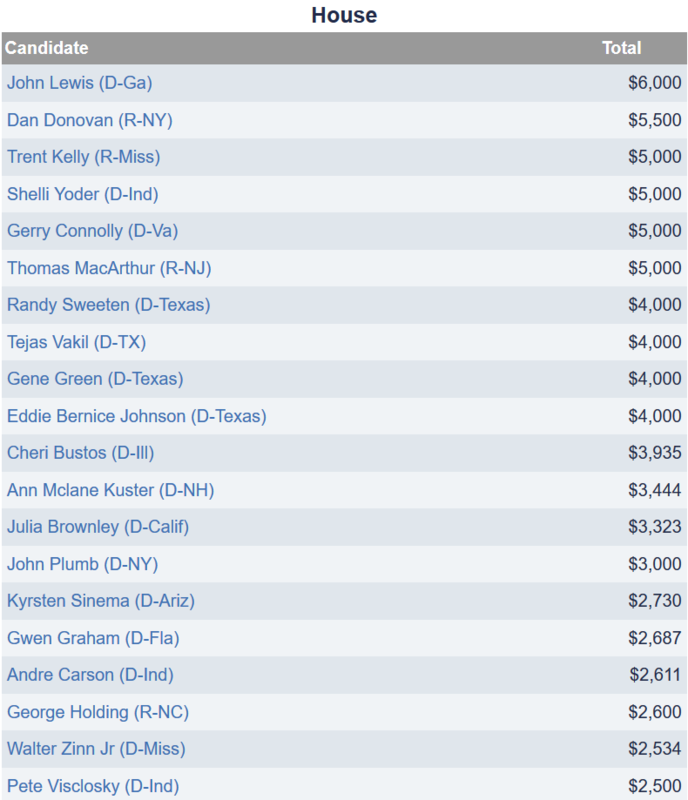 The numbers on this page are based on contributions from individuals giving $200 or more. 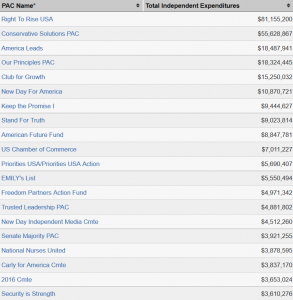 All donations took place during the 2015-2016 cycle and were released by the Federal Election Commission on 4/21/16. 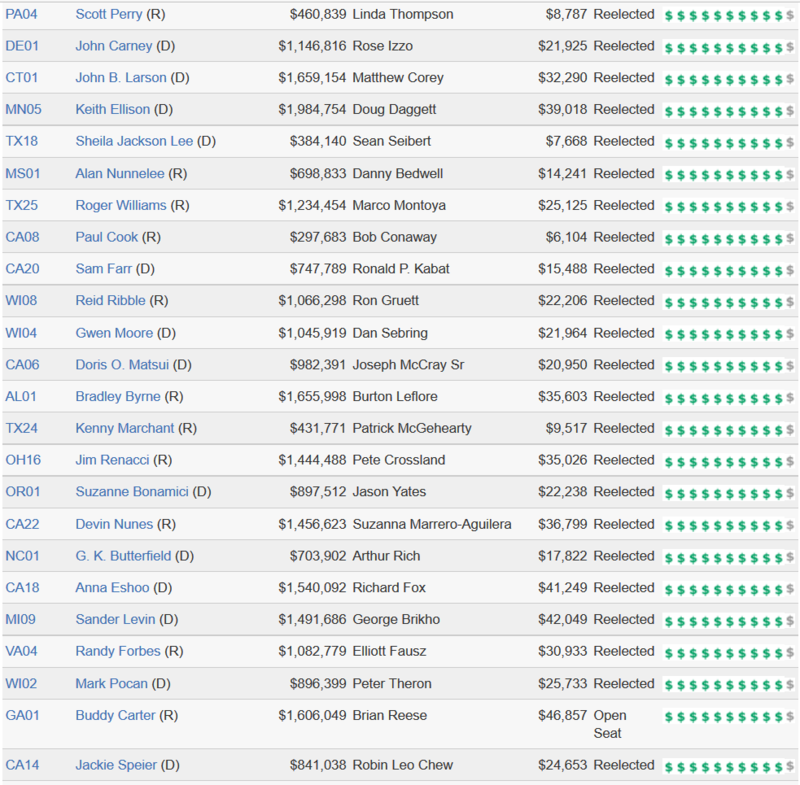 Here are the individuals who have dipped deepest into their own pockets for campaign contributions to federal candidates, parties, political action committees, 527 organizations, and Carey committees. 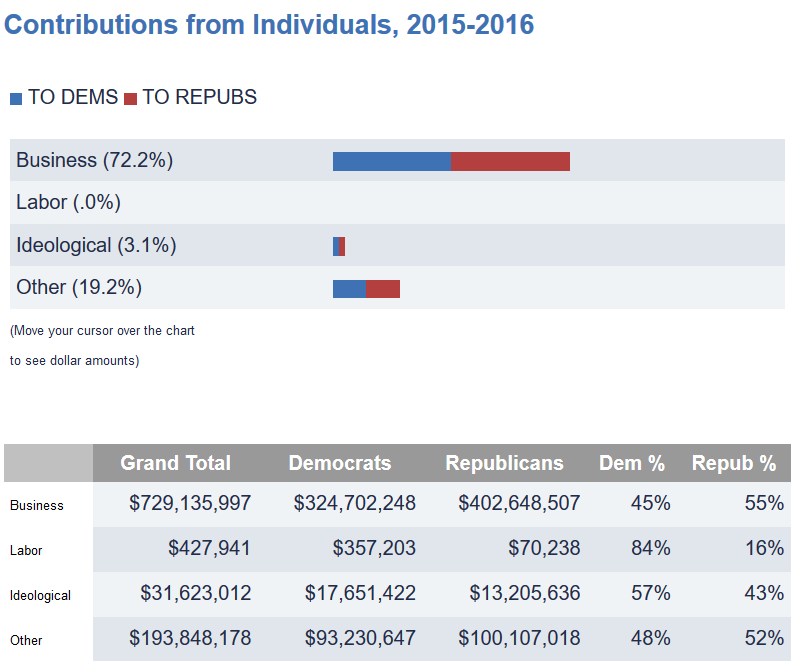 Only contributions to Democrats and Republicans or liberal and conservative outside groups are included in calculating the percentages the donor has given to either party. 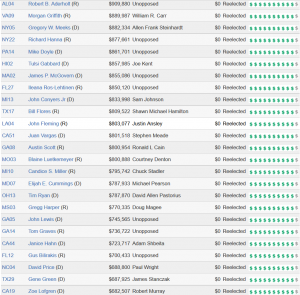 Hard money includes all money subject to federal election limits, including money to parties, candidates, and traditional political action committees. 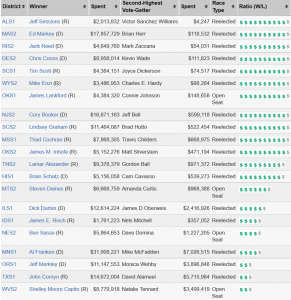 Outside money includes all money to super PACs, unlimited contributions to Carey committees (hybrid PACs), and all money to federally-focused 527 organizations. 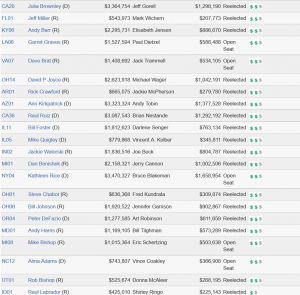 NOTE: Figures include contributions from spouses and dependent children. 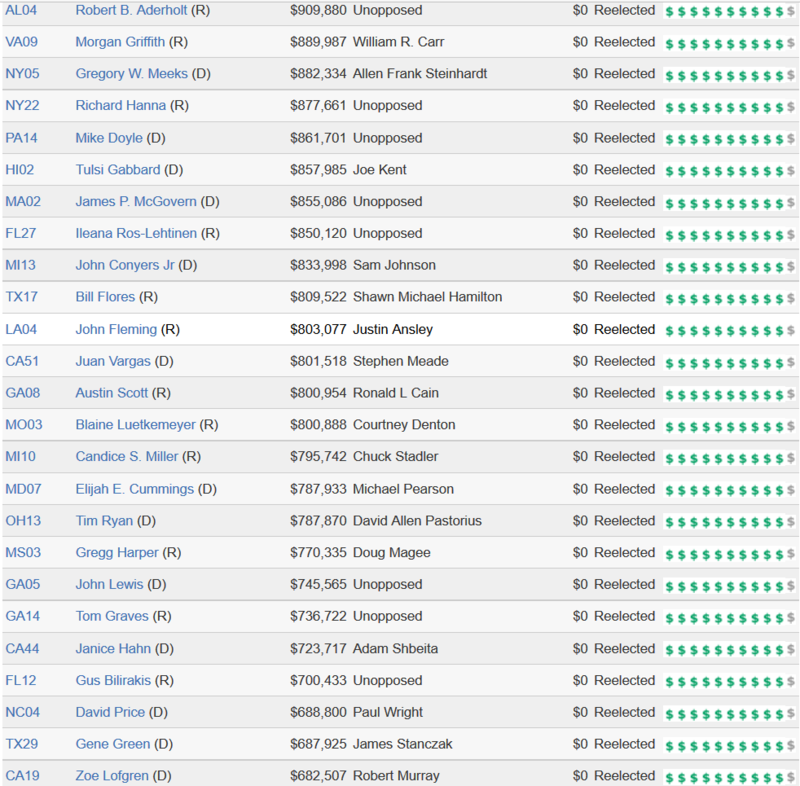 Additionally, federal law prohibits the use of contributor information for the purpose of soliciting contributions or for any commercial purpose. 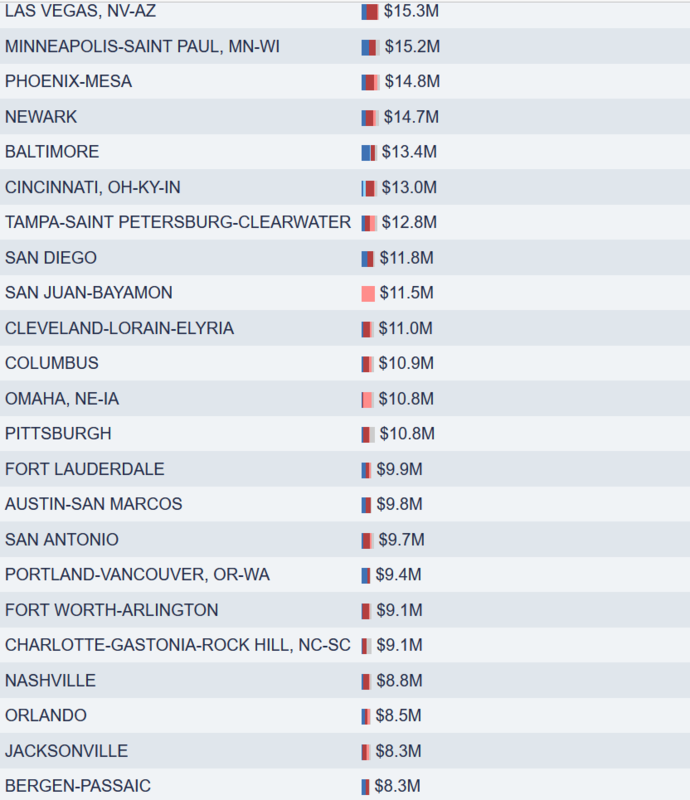 Based on data released by the FEC on 04/21/16. 7 Simons, James H. & Marilyn H.
8 Griffin, Kenneth C. & Anne D.
9 Cameron, Ronald M. & Nina J. 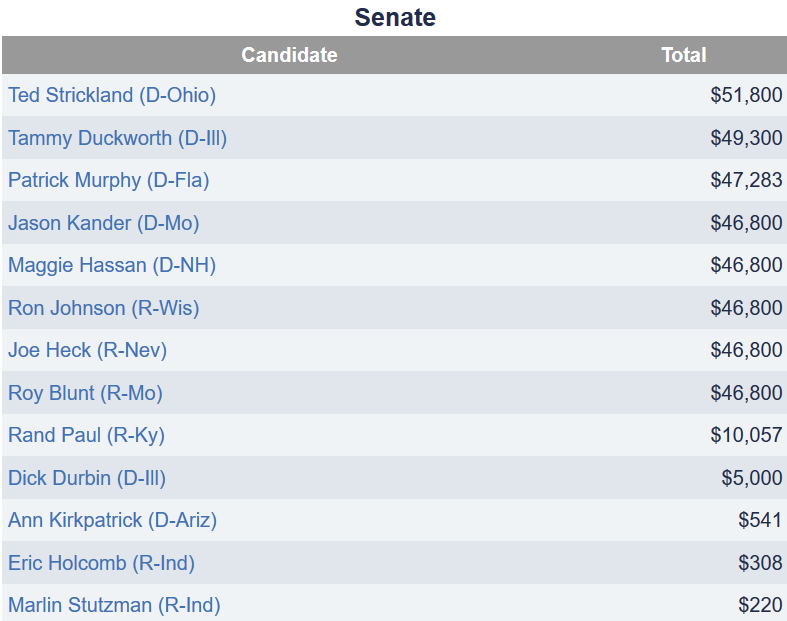 11 Ricketts, John J. 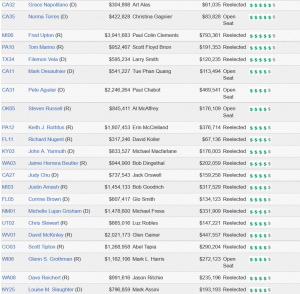 & Marlene M.
15 Pritzker, James R. & Mary K.
33 Asness, Clifford S. & Laurel E.
34 Klarman, Seth A. 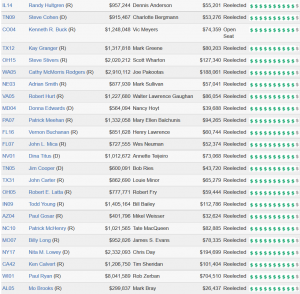 & Beth S.
35 Lessing, Stephen M. Sr.
36 Laufer, Henry B. & Marsha Z. 39 Obendorf, William E. & Susan C.
43 Wexner, Leslie H. & Abigail S.
45 Humphreys, David C. & Debra G.
46 Schwab, Charles R. & Helen O. 49 Kinder, Richard D. & Nancy G.
54 McMahon, Vincent K. & Linda E.
57 Childs, John W. & Marlene I. 59 Johnson, Charles B. & Ann L.
61 Shaw, David E. & Beth K.
63 Adelson, Sheldon G. & Miriam O. 64 Devos, Richard Sr. & Helen J. 67 Kendrick, Earl G. Jr. & Randy P.
76 Sinquefield, Rex A. & Jeanne C.
85 McInerney, Thomas E. & Paula G.
87 Crow, Harlan R. & Katherine R.
90 Gilliam, Richard B. & Leslie F.
93 Stern, Marc I. 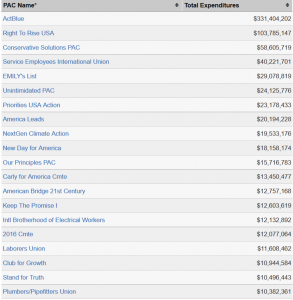 & Eva S.
An institution in American politics for decades, political action committees collect contributions from employees (in the case of businesses) or members (in the case of labor unions or ideological groups) and direct them to candidates and party committees. 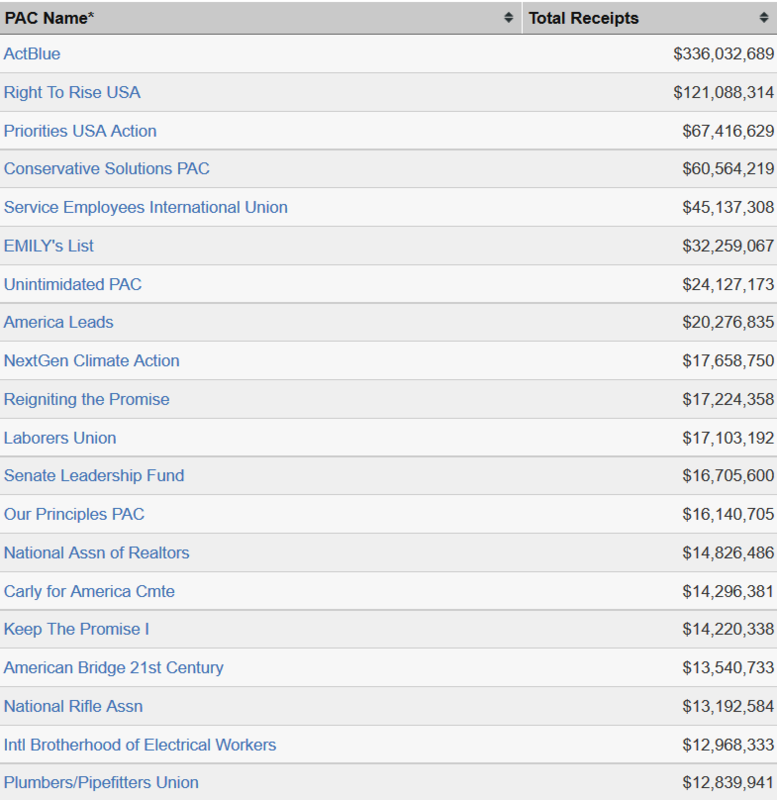 Contributions to and from PACs are limited by federal law. 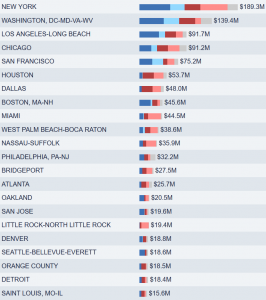 Based on data released by the FEC on 4/21/16. 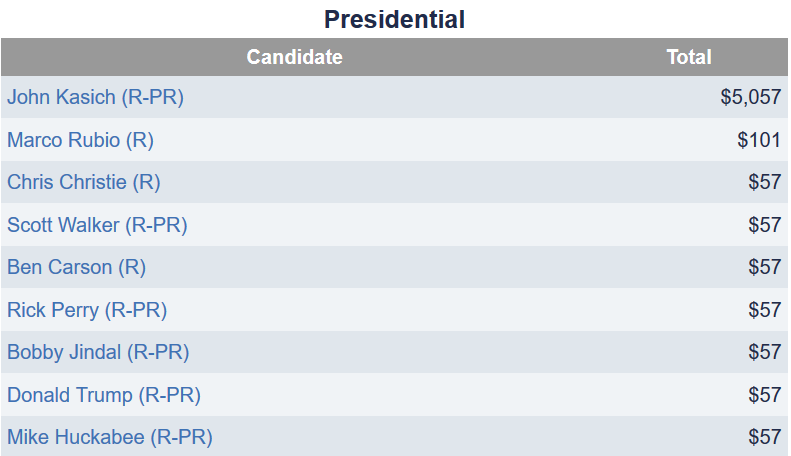 All figures are for all candidates in the 2016 election and are based on FEC reports filed through 05/17/2016. 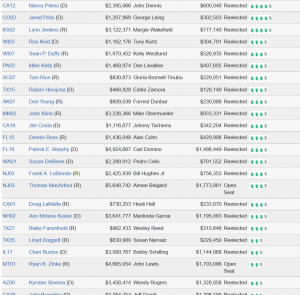 *Incumbents running for re-election in 2016. 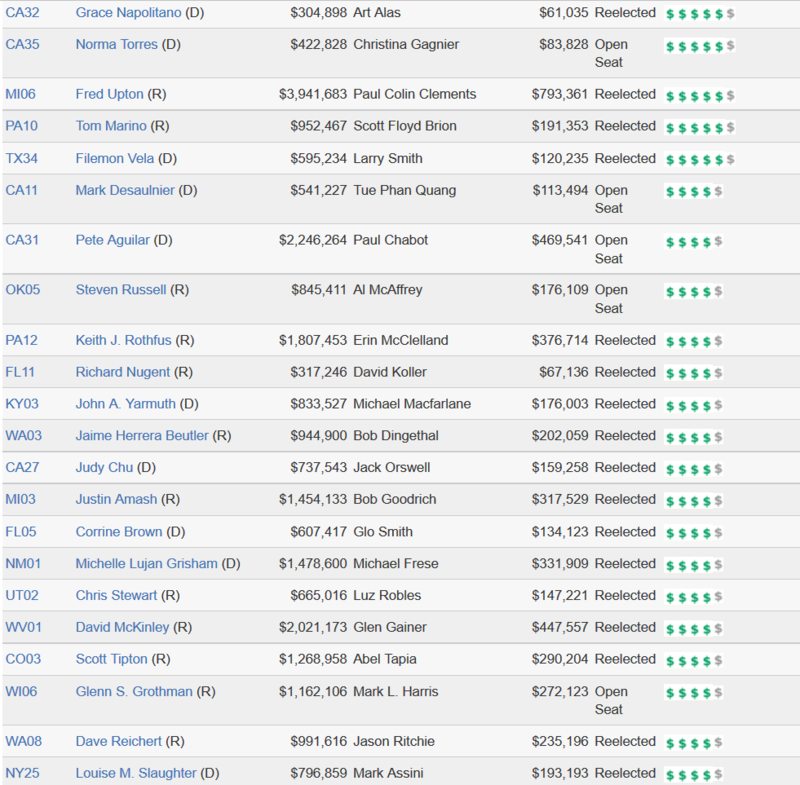 As the costs of running for office have escalated, more and more candidates are jumping into politics using their personal fortune, rather than trying to raise all those funds from other people. 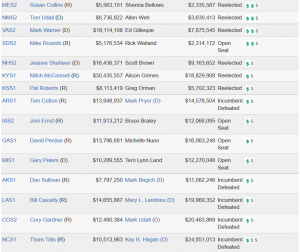 Though they don’t lack for money, self-funded candidates typically lose at the polls. 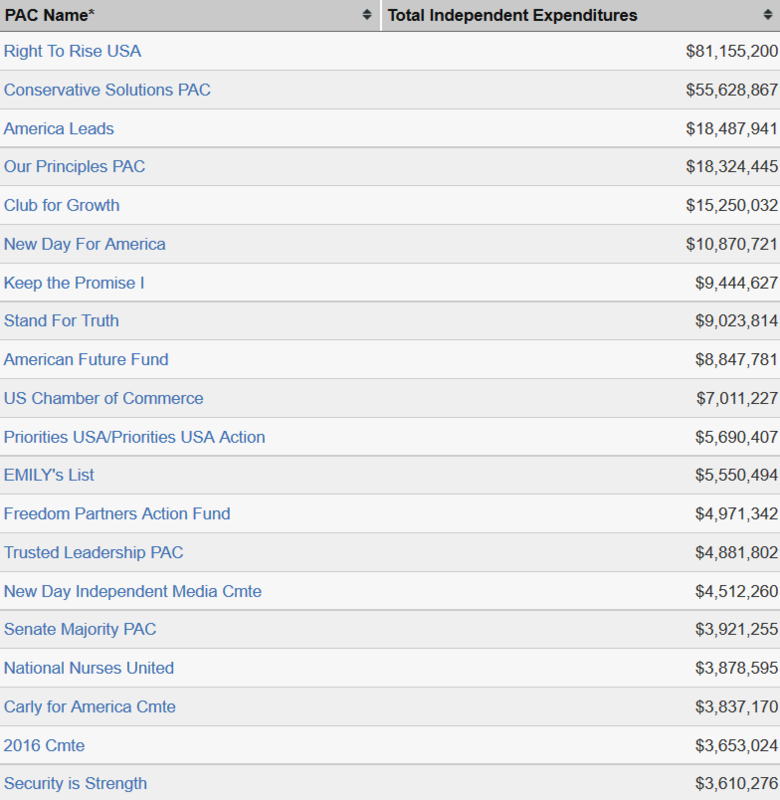 Based on data released by the FEC on 04/16/2016. 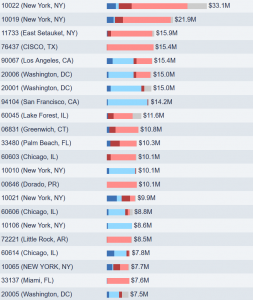 Money doesn’t always equal victory — but it usually does. 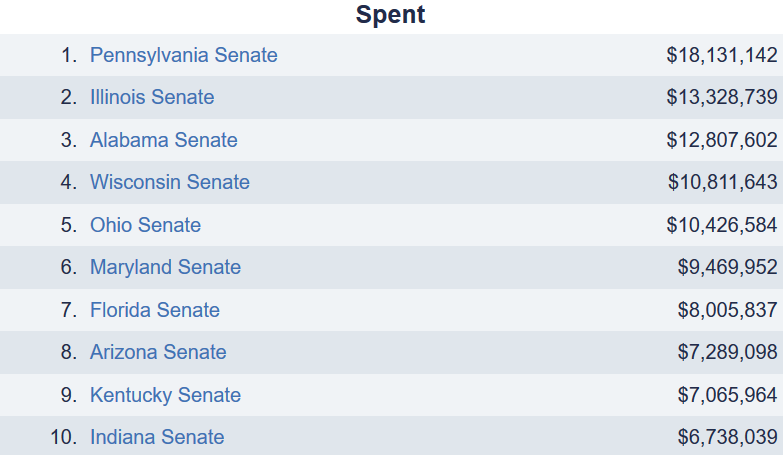 Sometimes contributions flow to the candidate who is already viewed as being much stronger than his or her opponent. 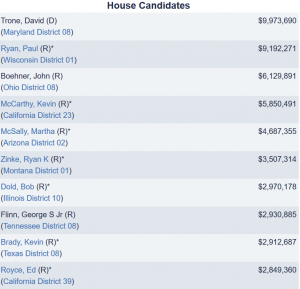 Sometimes the money goes to the less well-known candidate and results in a surge in popularity. 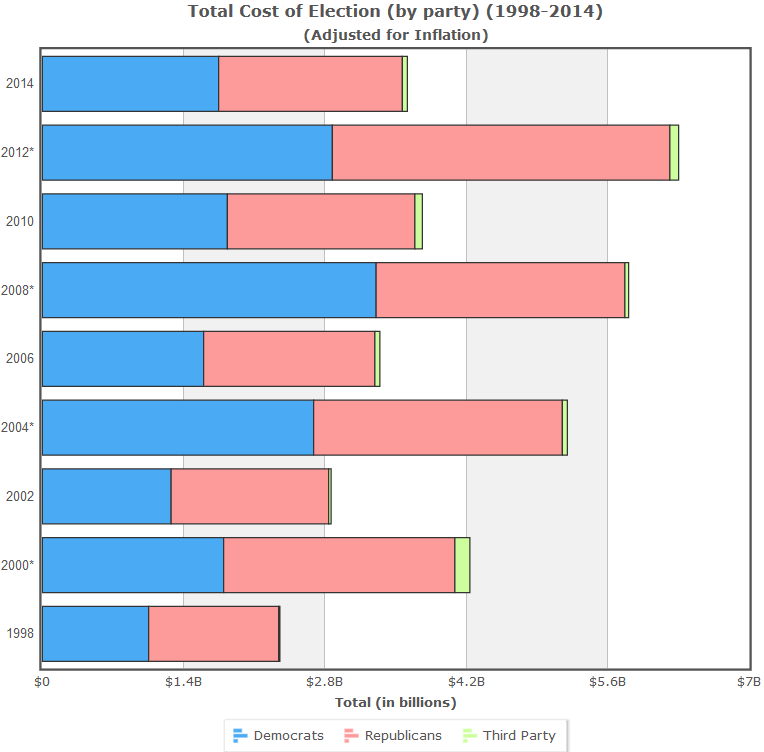 Still, at the end of the day, the candidate who wins despite having spent less money is an outlier. 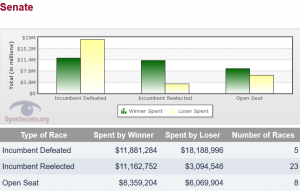 The number of green dollar signs (for winners) and grey dollar signs (for second-highest vote-getter) represents the spending ratio in a race. 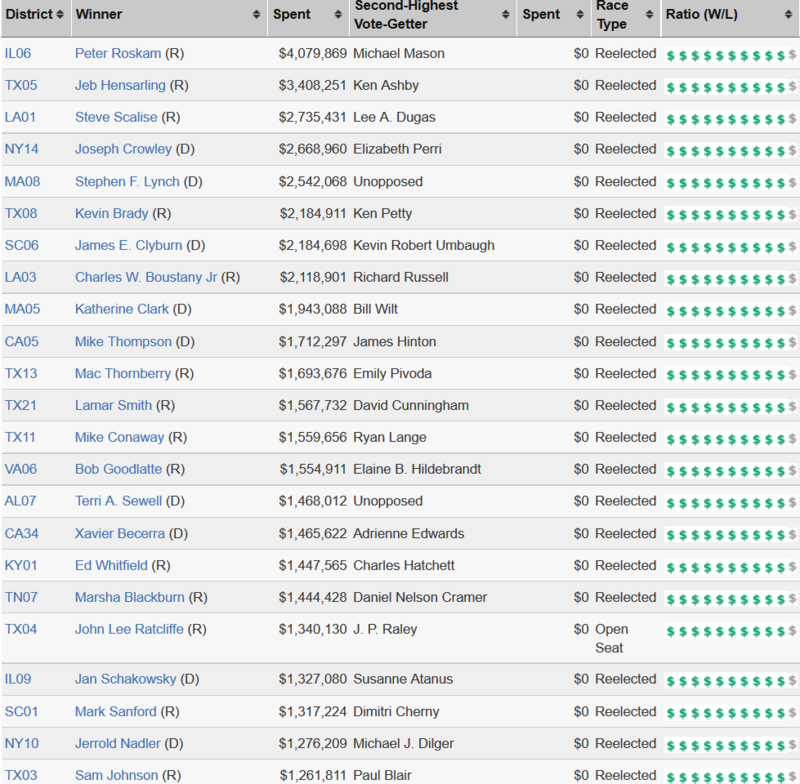 For example, if the winner outspent the second-highest vote-getter 5-to-1, this ratio would be shown as . 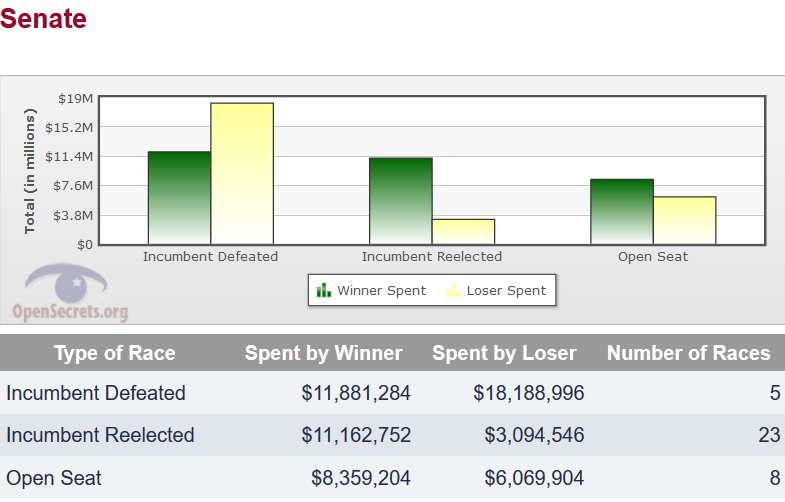 Conversely, if the winner was outspent by the second-highest vote-getter 5-to-1, this ratio would be shown as . 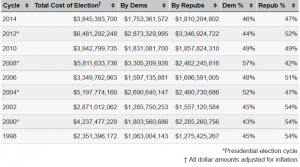 All figures are based on expenditures made in the 2013-2014 and released by the FEC on 04/06/2015. 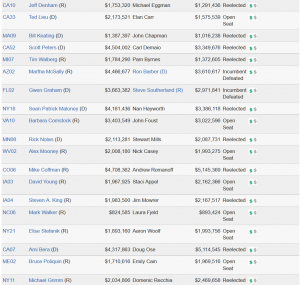 Some members have not yet filed (see Still Waiting for Reports). 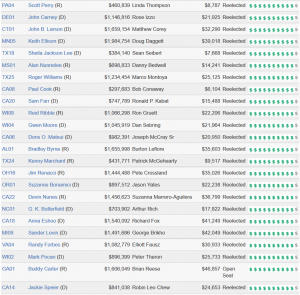 It is well known that candidates for Congress and president raise money from individuals and political action committees (PACs), but they also turn to the political parties to fill their campaign coffers. 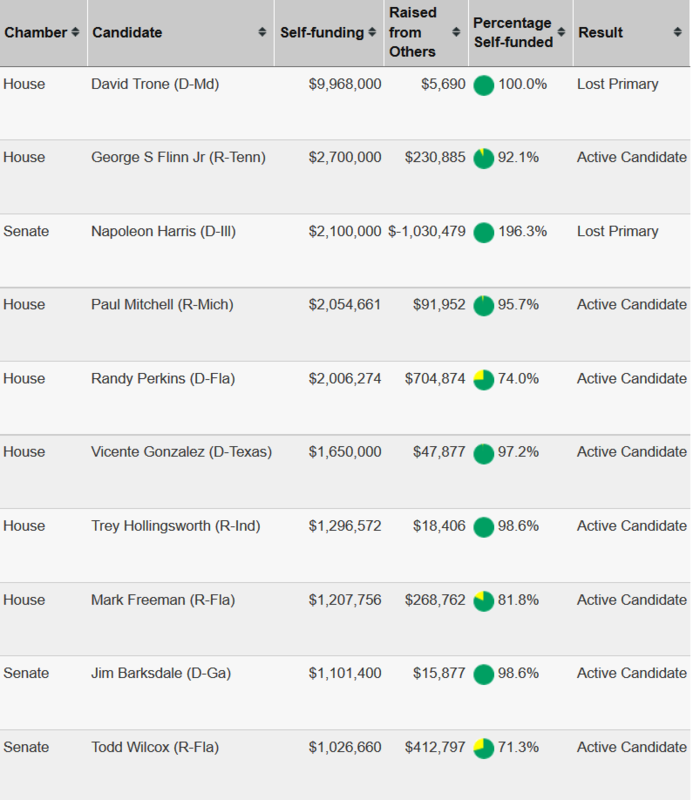 Candidates for the House and president can raise up to $5,000 per election (primary and general) from each federally registered party committee. 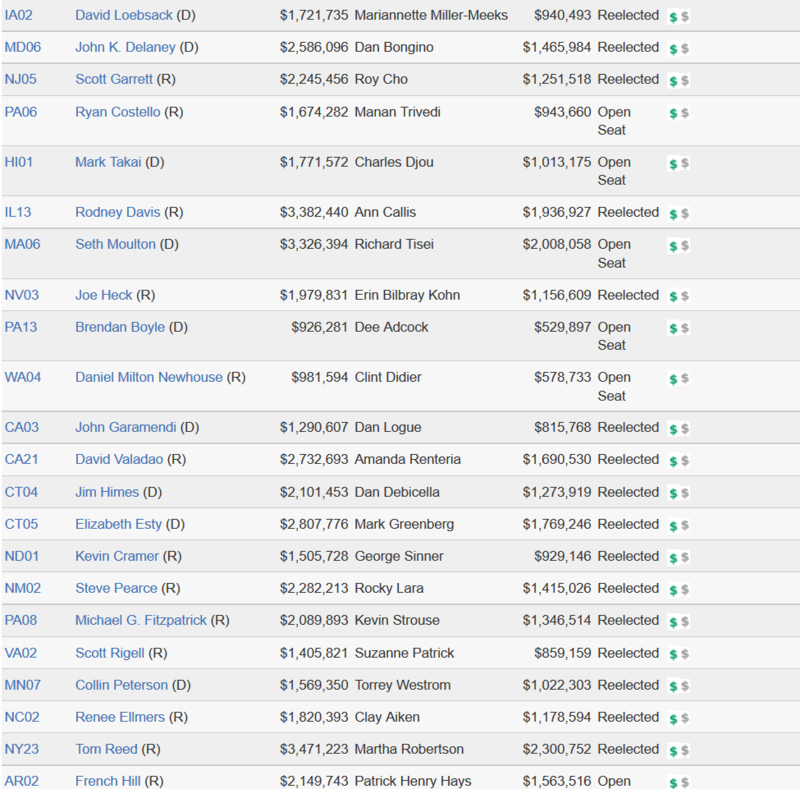 Senate candidates can raise up to $39,900 per campaign in 2008. 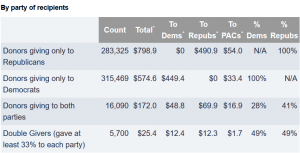 This, of course, does not include money the parties can spend in support of a candidate, either in coordination with, or independent of, that candidate’s campaign. 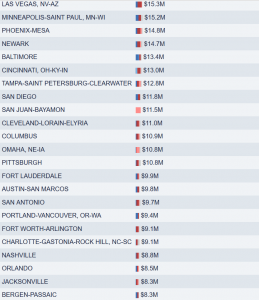 Based on data released by the Federal Election Commission on 3/21/16. 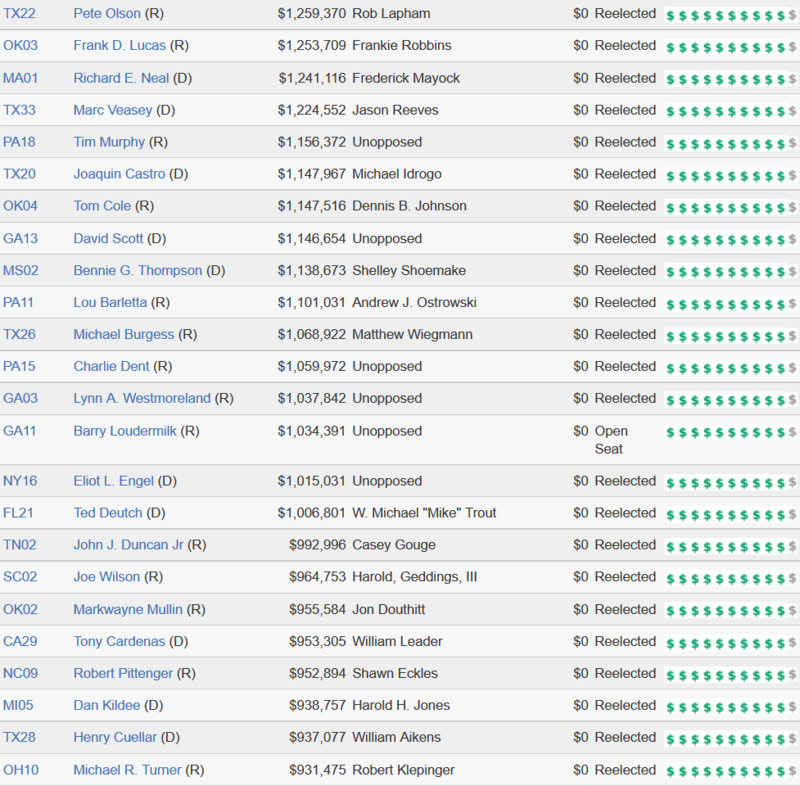 Few things in life are more predictable than the chances of an incumbent member of the U.S. House of Representatives winning reelection. 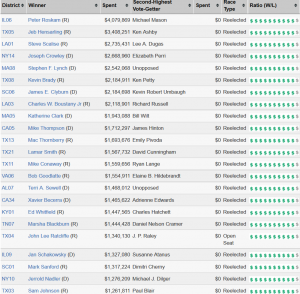 With wide name recognition, and usually an insurmountable advantage in campaign cash, House incumbents typically have little trouble holding onto their seats—as this chart shows. 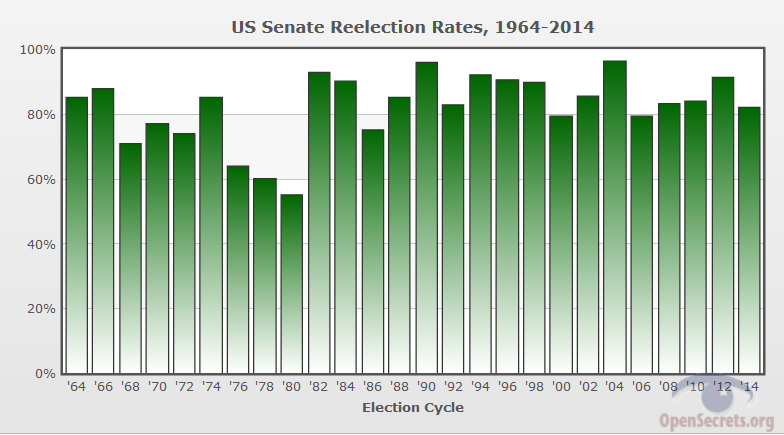 Senate races still overwhelmingly favor the incumbent, but not by as reliable a margin as House races. 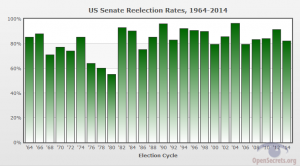 Big swings in the national mood can sometimes topple long time office-holders, as happened with the Reagan revolution in 1980. Even so, years like that are an exception. 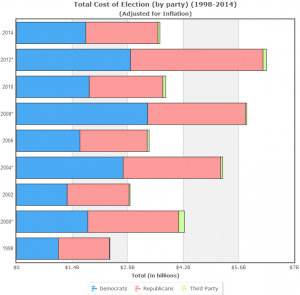 Getting re-elected is a lot cheaper than winning a seat in Congress in the first place. 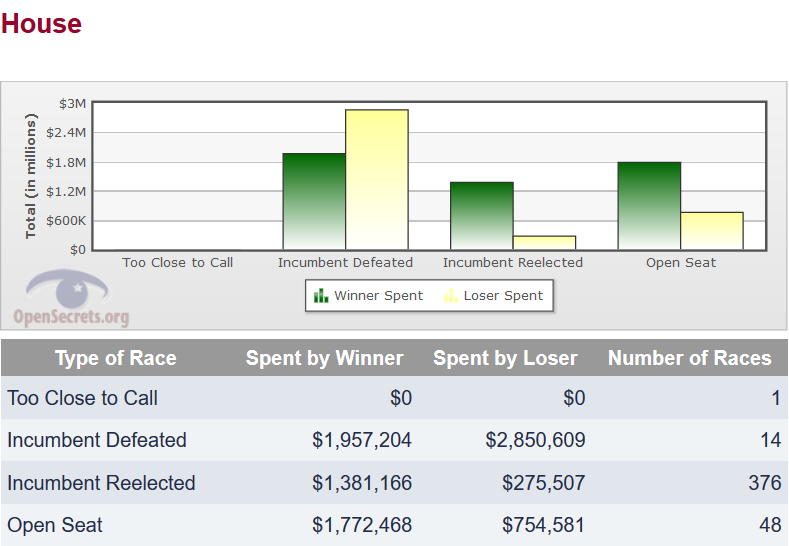 That fact is evident in these charts, which show averages for winners and losers in different types of races. 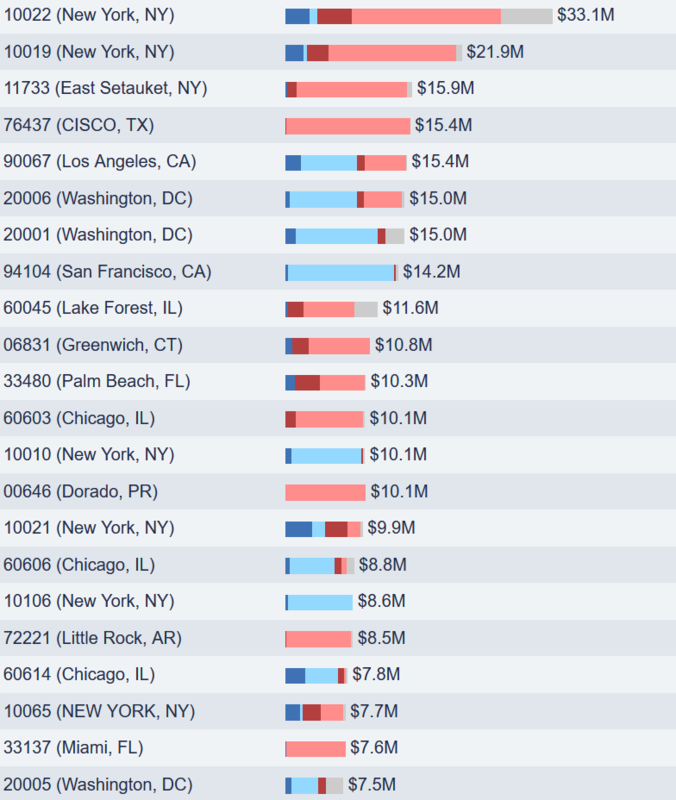 In the House, open-seat races tend to cost far more than races where incumbents were re-elected. 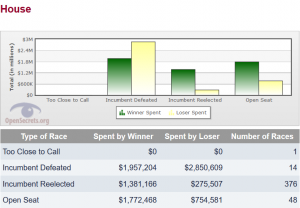 Most expensive of all were the races where two incumbents fought over the same seat — a once-in-a-decade phenomenon that occurs after reapportionment. 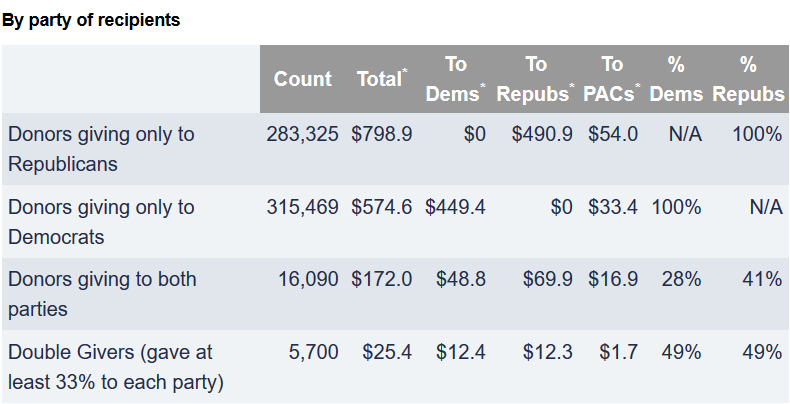 In both the House and Senate, even those incumbents who lose at the polls typically spend more than their opponents. 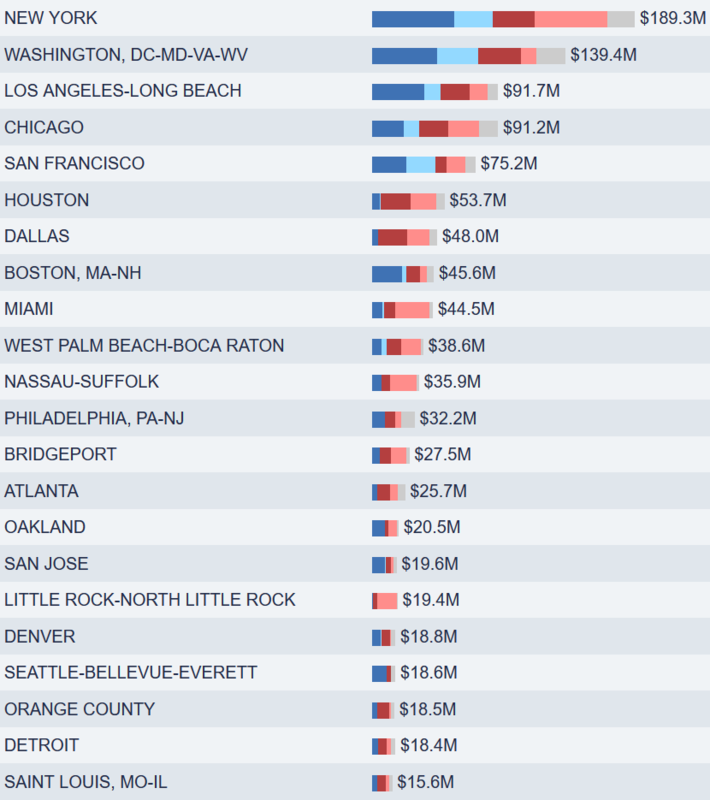 Based on data released by the FEC on 04/06/2015. 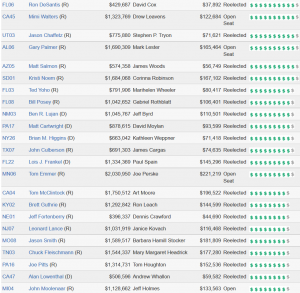 The secret to electoral success in Congress is not only having lots of money, but having lots of other people’s money. 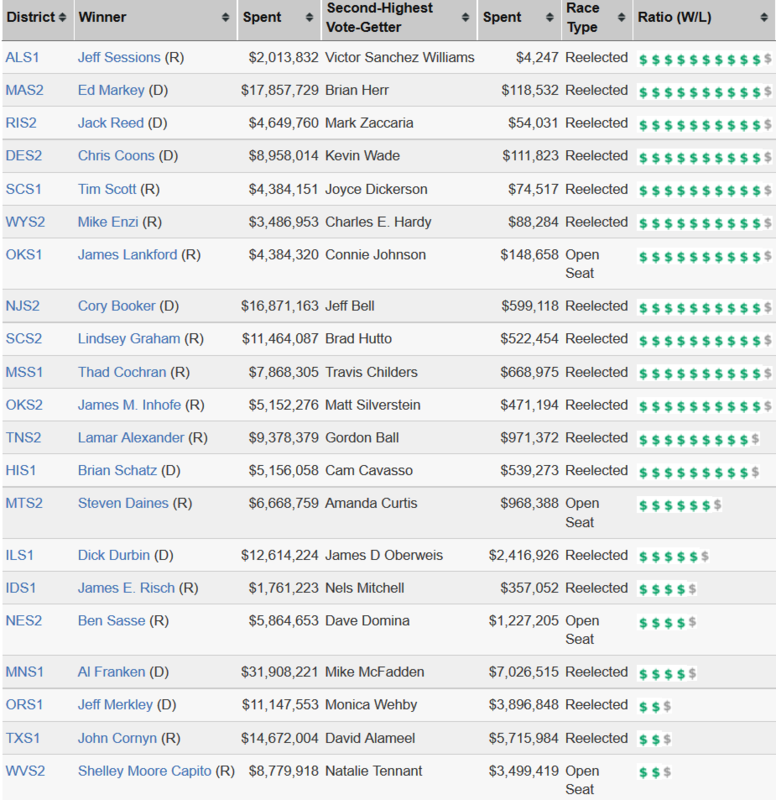 While a handful of millionaire candidates have financed their initial campaigns out of their own pockets, incumbents almost never use their own funds when seeking re-election. 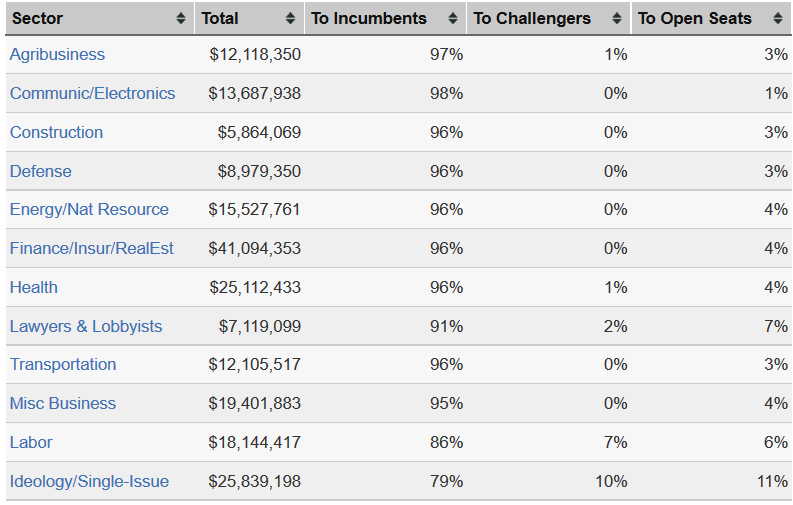 Click a slice of the pie or select a source of money from the color-coded key to learn more about its role. 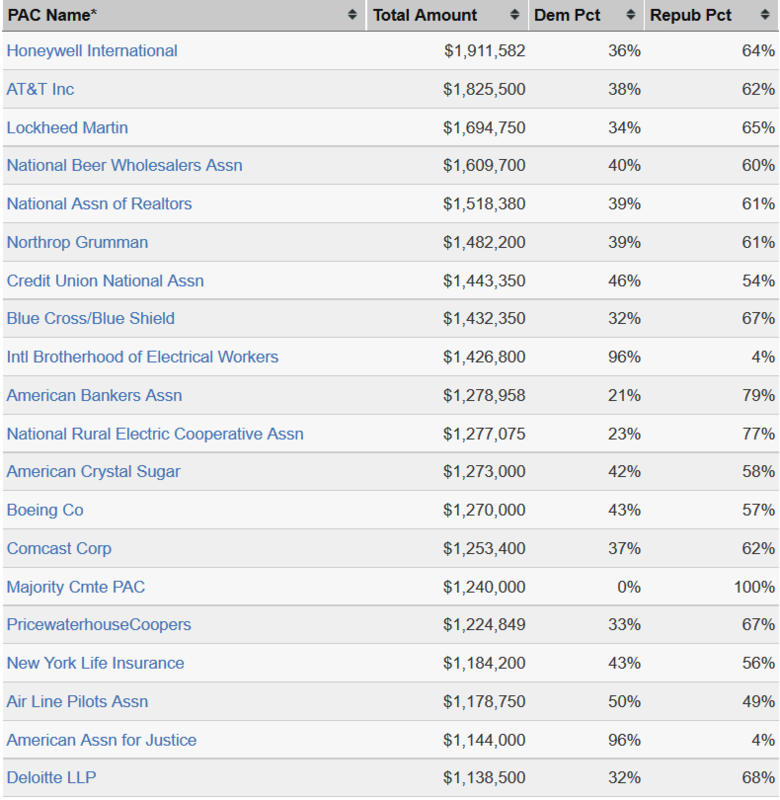 The Democratic and Republican percentages are calculated using money to candidates and party affiliated committees only. 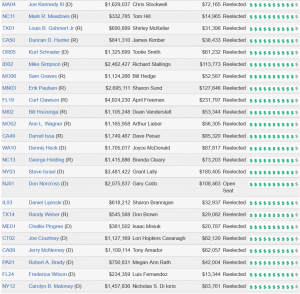 Percentages may not add up to 100% as money can be given to third party candidates or party committees. 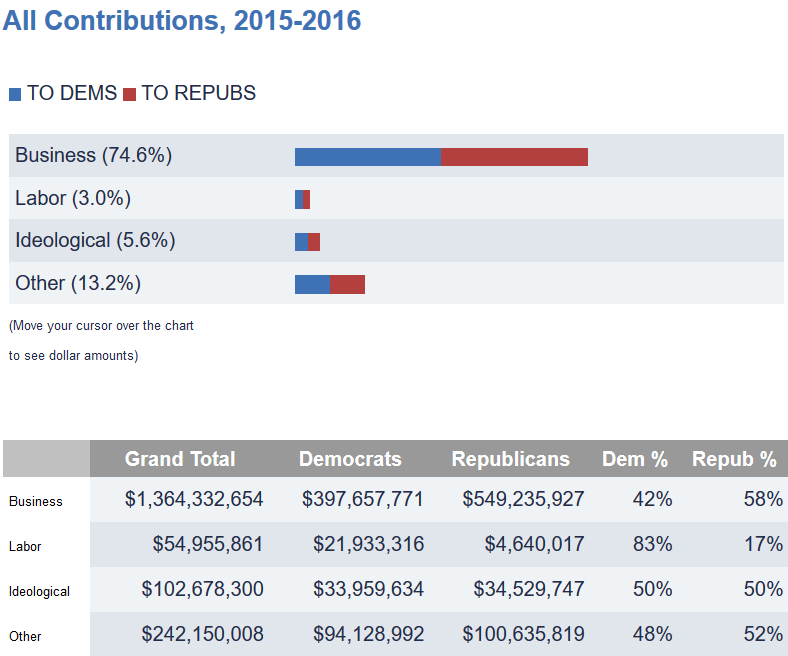 All donations took place during the 2015-2016 and released by the Federal Election Commission on 4/16/16. 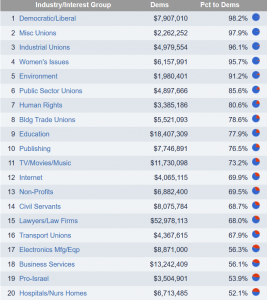 All donations took place during the 2015-2016 election cycle and were released by the Federal Election Commission on 4/16/16. 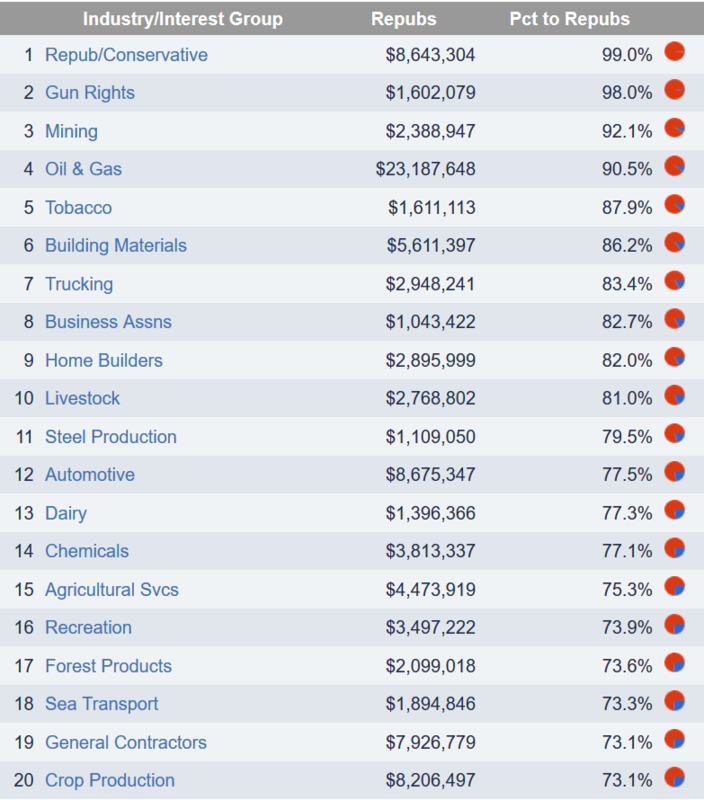 The broadest classification of political donors separates them into business, labor, or ideological interests. 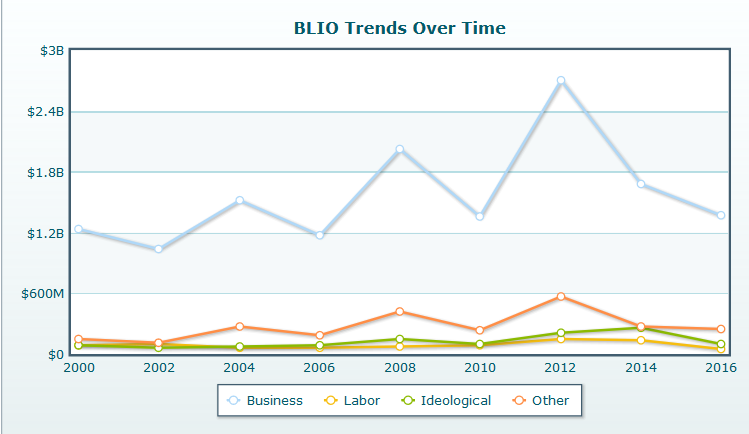 Whatever slice you look at, business interests dominate, with an overall advantage over organized labor of about 15-to-1. 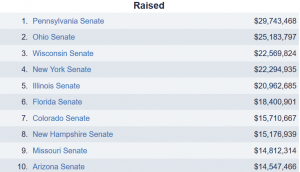 Even among PACs – the favored means of delivering funds by labor unions – business has a more than 3-to-1 fundraising advantage. 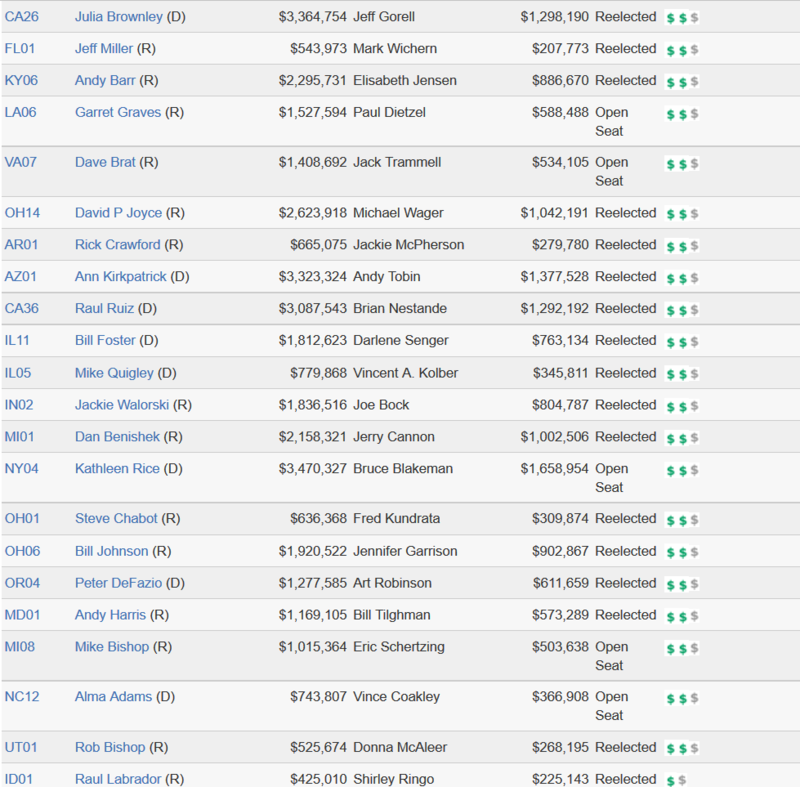 In soft money, the ratio is nearly 17-to-1. 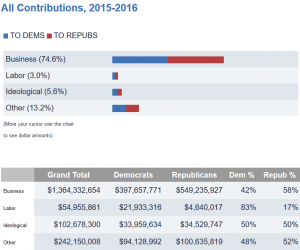 An important caveat must be added to these figures: “business” contributions from individuals are based on the donor’s occupation/employer. 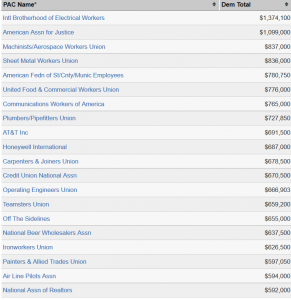 Since nearly everyone works for someone, and since union affiliation is not listed on FEC reports, totals for business are somewhat overstated, while labor is understated. 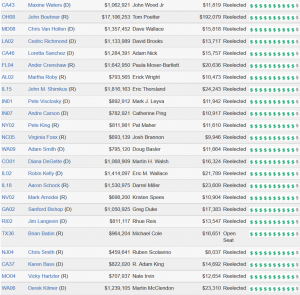 Still, the base of large individual donors is predominantly made up of business executives and professionals. 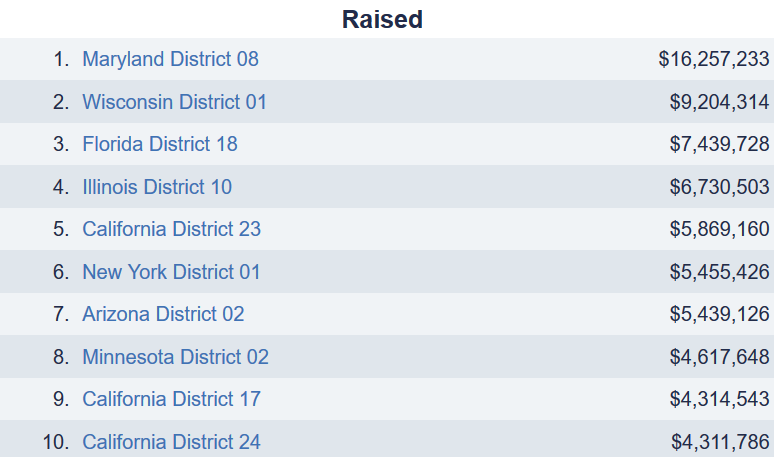 Contributions under $200 are not included in these numbers, as they are not itemized. 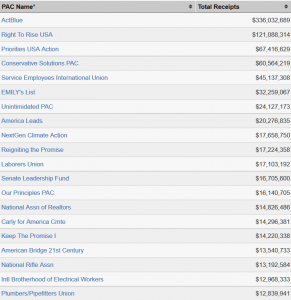 Based on data released by the FEC on April 16, 2016, and includes PAC and individual contributions to candidates and parties. 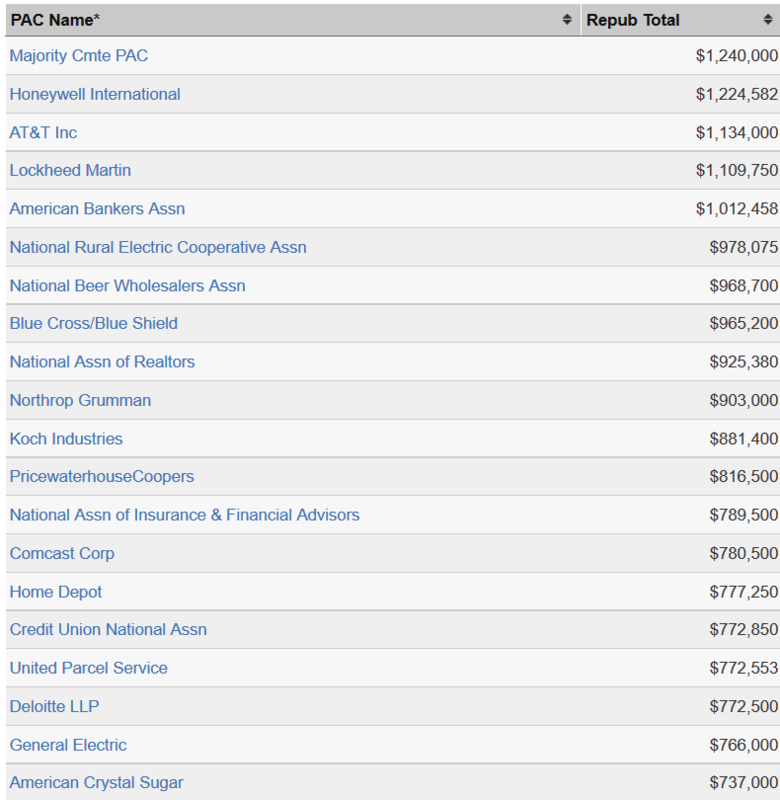 Figures also include individual, corporate and union contributions to super PACs and outside spending groups. 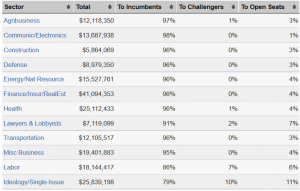 Contributions for which no category was identified are not included here. The most partisan industries are determined by calculating the amount of money given to Democratic or Republican candidates and party committees compared to all the money given, including money going to outside spending groups and other PACs. The pie charts show the Democrat/Republican split; money not categorized as being connected to either party is not included in the charts. 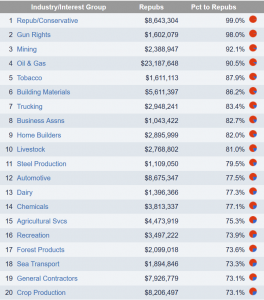 The list below shows the industries and interest groups that gave the highest proportion of their dollars to one party or the other. 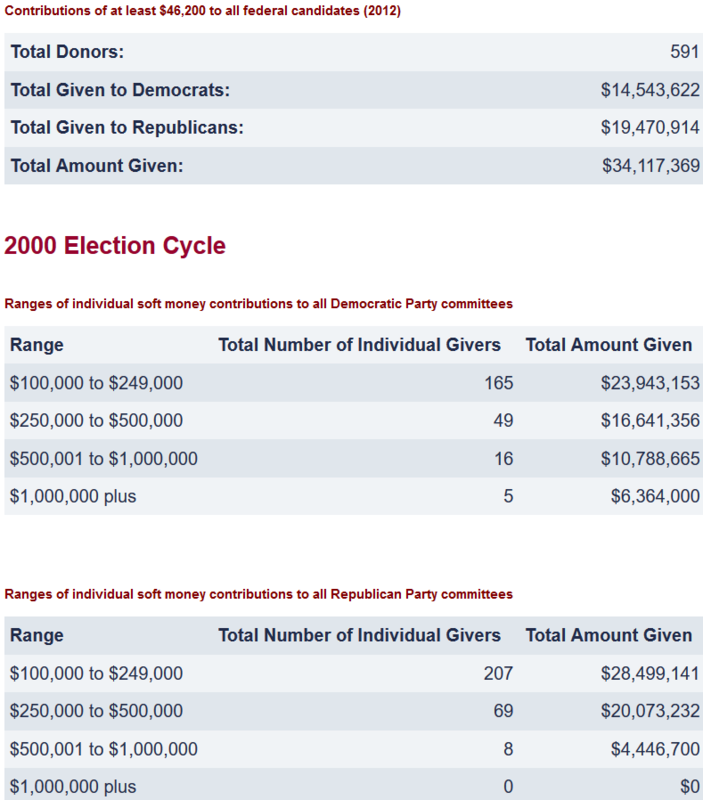 Percentages to Democrats and Republicans calculation based only on money to candidates and parties. 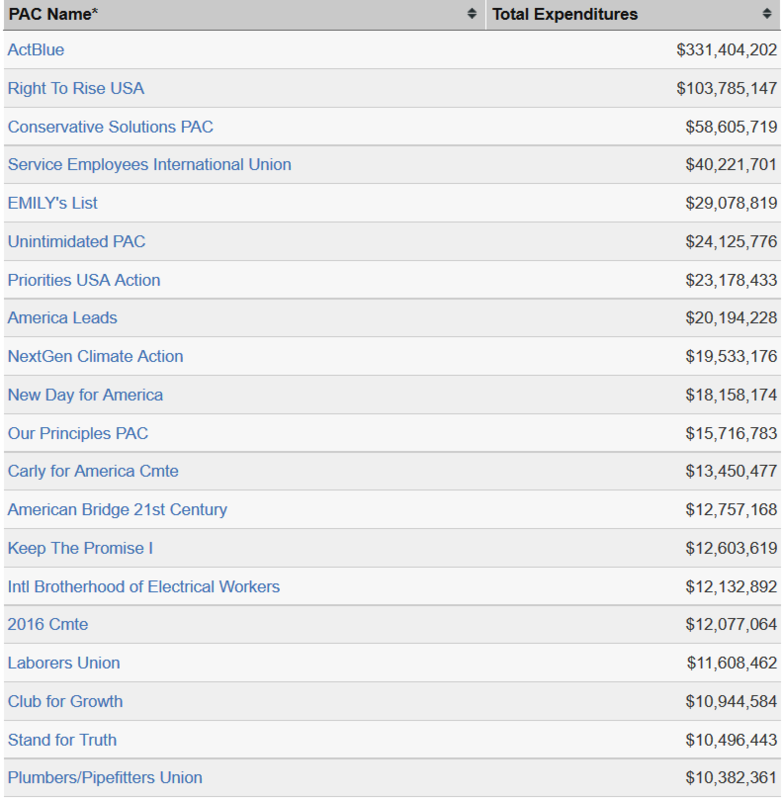 Based on data released by the FEC on 04/21/2016. 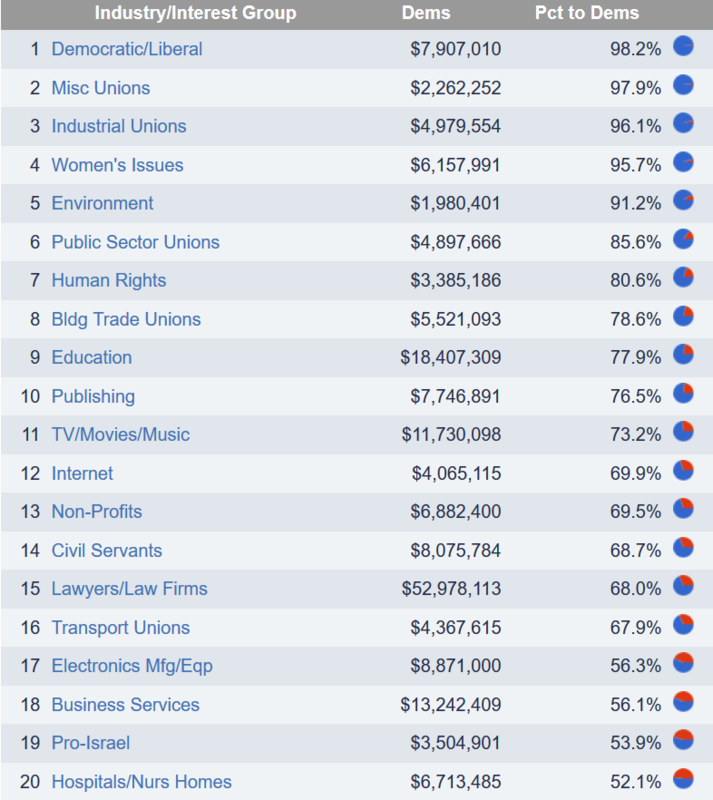 On Nov. 6, 2002, the day after the 2002 midterm elections, a new set of federal campaign finance laws went into effect. 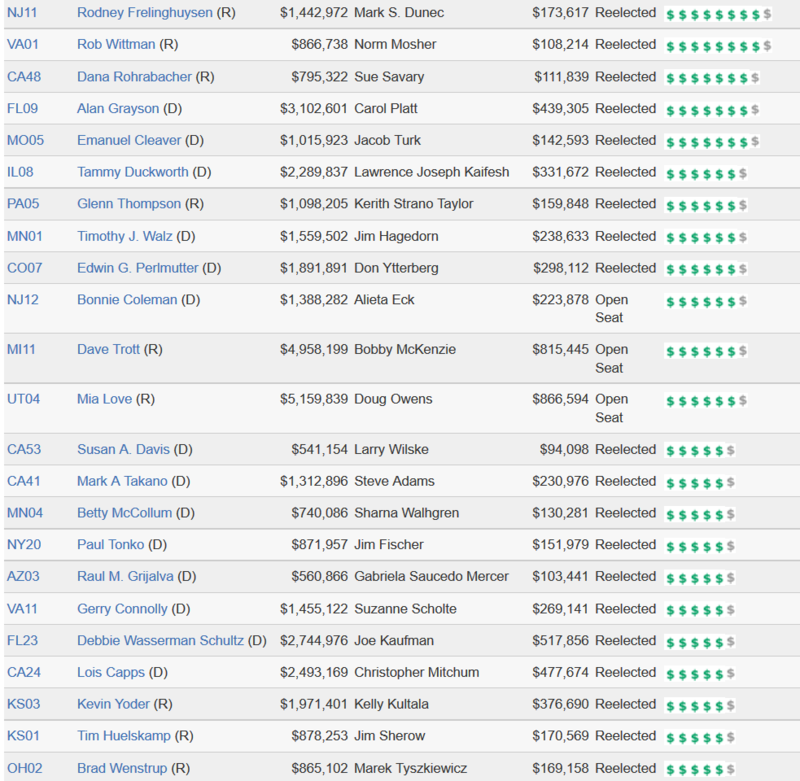 Known as the Bipartisan Campaign Reform Act (BCRA), the law increased the contribution limits for individuals giving to federal candidates and political parties. 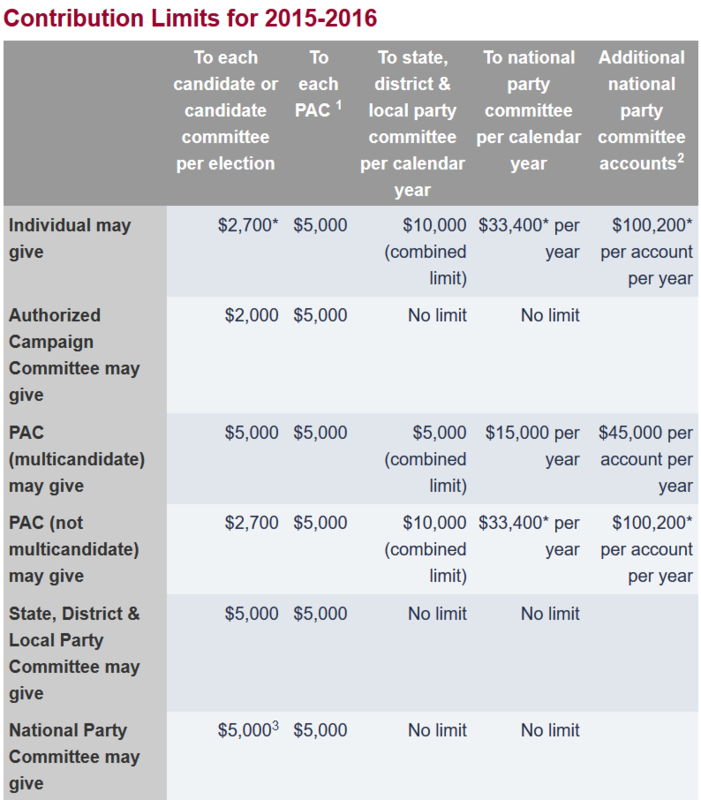 Every two years, the Federal Election Commission updates certain contribution limits — such as the amount individuals may give to candidates and party committees — that are indexed to inflation. 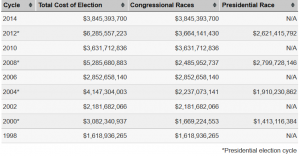 Following the Supreme Court’s 2014 decision in McCutcheon v. FEC, there is no longer an aggregate limit on how much an individual can give in total to all candidates, PACs and party committees combined. 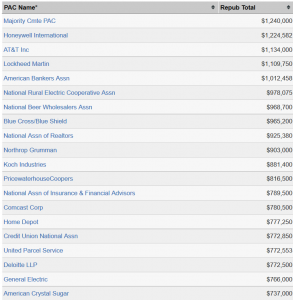 1 “PAC” here refers to a committee that makes contributions to other federal political committees. 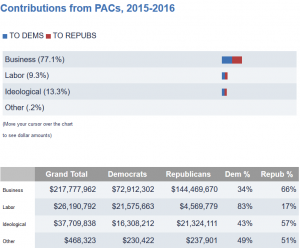 Independent-expenditure-only political committees (sometimes called “super PACs”) may accept unlimited contributions, including from corporations and labor organizations. 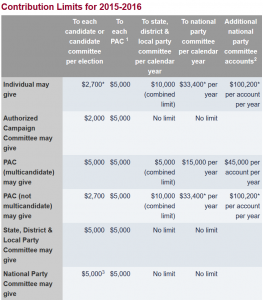 2 The limits in this column apply to a national party committee’s accounts for: (i) the presidential nominating convention; (ii) election recounts and contests and other legal proceedings; and (iii) national party headquarters buildings. 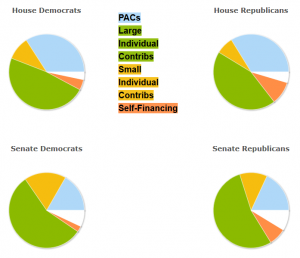 A party’s national committee, Senate campaign committee and House campaign committee are each considered separate national party committees with separate limits. 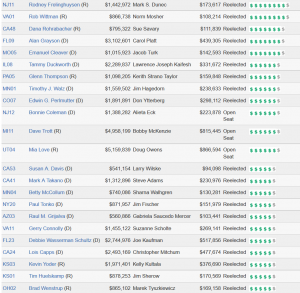 Only a national party committee, not the parties’ national congressional campaign committees, may have an account for the presidential nominating convention. 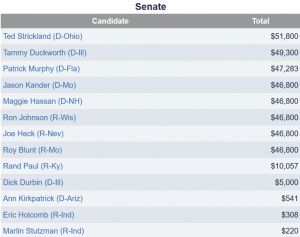 3 Additionally, a national party committee and its Senatorial campaign committee may contribute up to $46,800 combined per campaign to each Senate candidate. 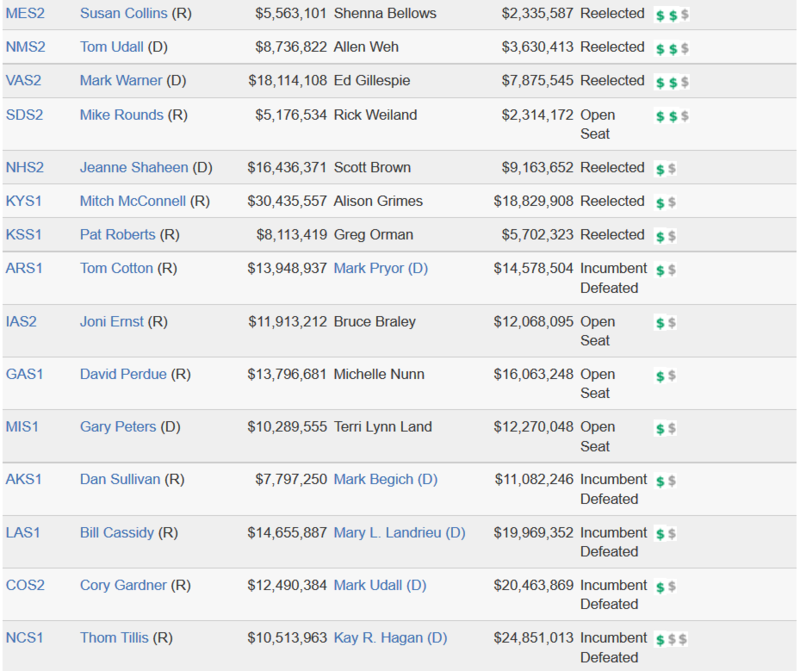 McCutcheon v. FEC is a federal lawsuit scheduled to be argued before the U.S. Supreme Court on Oct. 8, 2013. 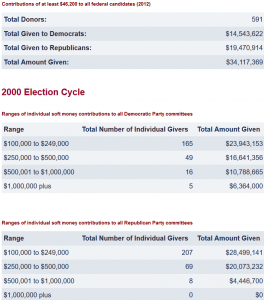 The case is about whether or not Congress may limit the total amount of donations an individual can make, at the federal level, in an election cycle. 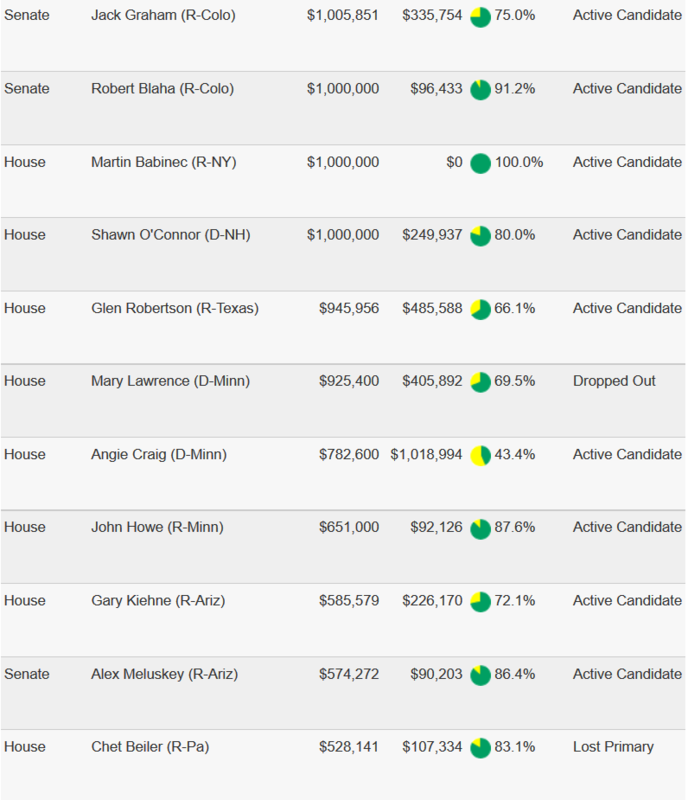 Many people are familiar with limits on how much individuals can give to a campaign; in the 2014 cycle, gifts are capped at $2,600 per candidate per race ($5,200 including both the primary and general election). 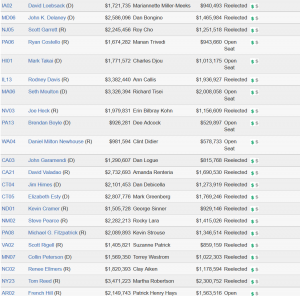 In addition, they can give up to $5,000 per year to a PAC. 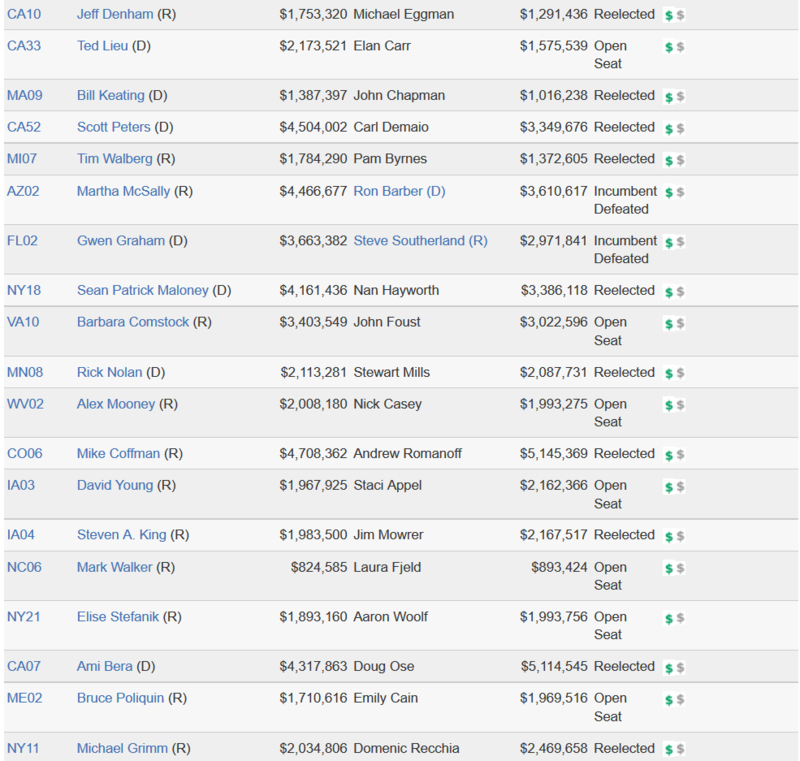 However, there is also an overall limit: No individual can give more than $123,200 in a two-year cycle. 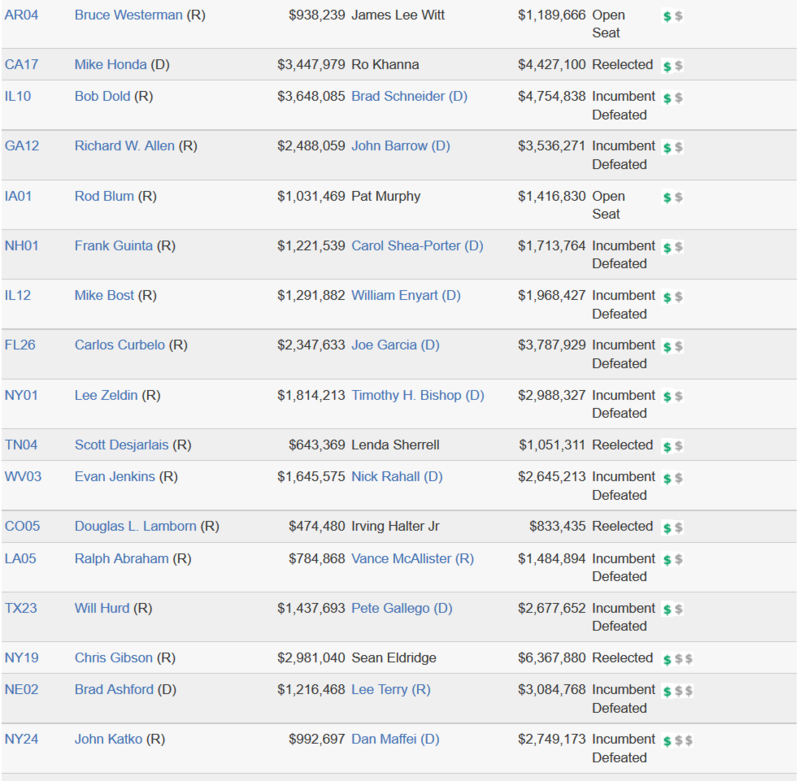 Of that amount, only $48,600 can be given to candidates and only $74,600 can be given to PACs. 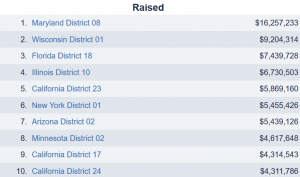 This means that a donor can only give the maximum allowable donation to nine candidates and seven PACs in the 2014 election cycle. 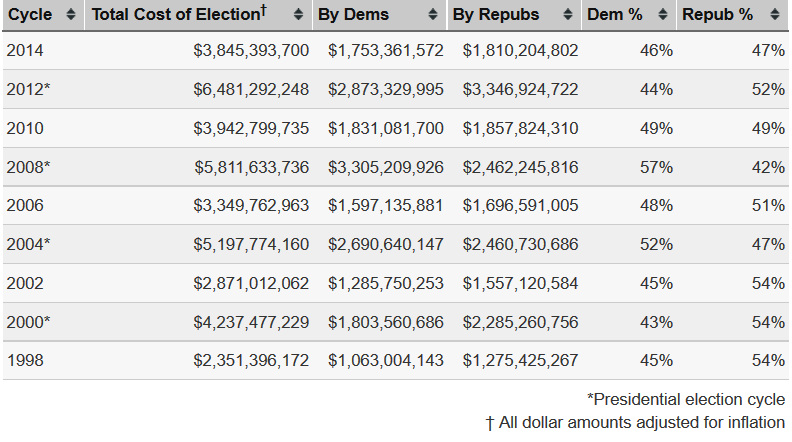 Along with the limits on how much can be given to candidates, committees and parties, the overall cap is increased every election cycle. 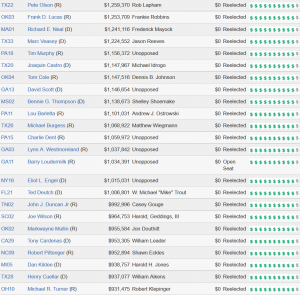 First established in the 1970s, the limits on how much an individual can give to a candidate or committee were designed to prevent a handful of individuals from having undue influence over a candidate by being his or her dominant source of funding. 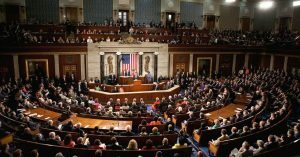 However, to make the limits on how much an individual can give to candidates and committees effective, Congress also had to establish an overall cap. 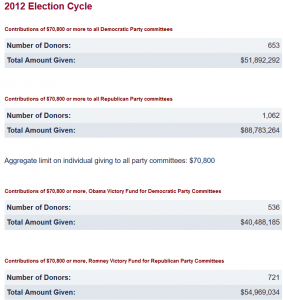 Didn’t Citizens United allow unlimited donations? 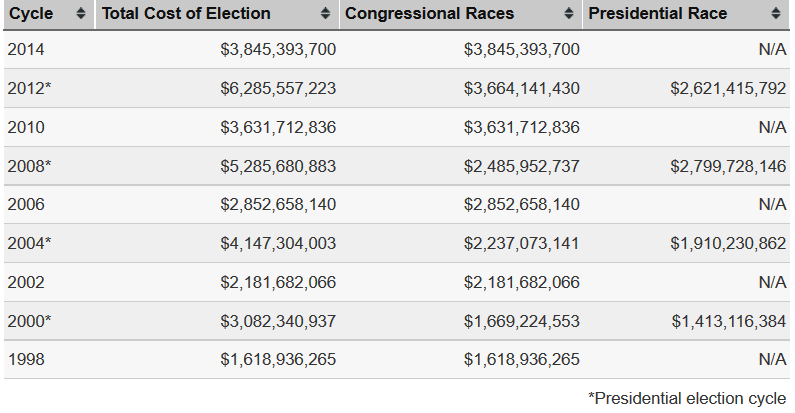 The U.S. Supreme Court’s 2010 decision in Citizens United v. FEC lifted limits on how much money can be given and spent by outside spending groups; many of these are super PACs and politically active nonprofits. 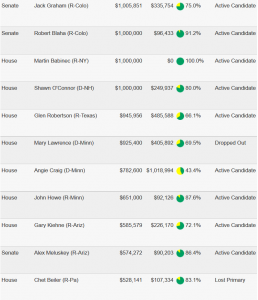 Although an outside group may favor a particular candidate, it does not give directly to the candidate and is not allowed to spend the money in coordination with the campaign. 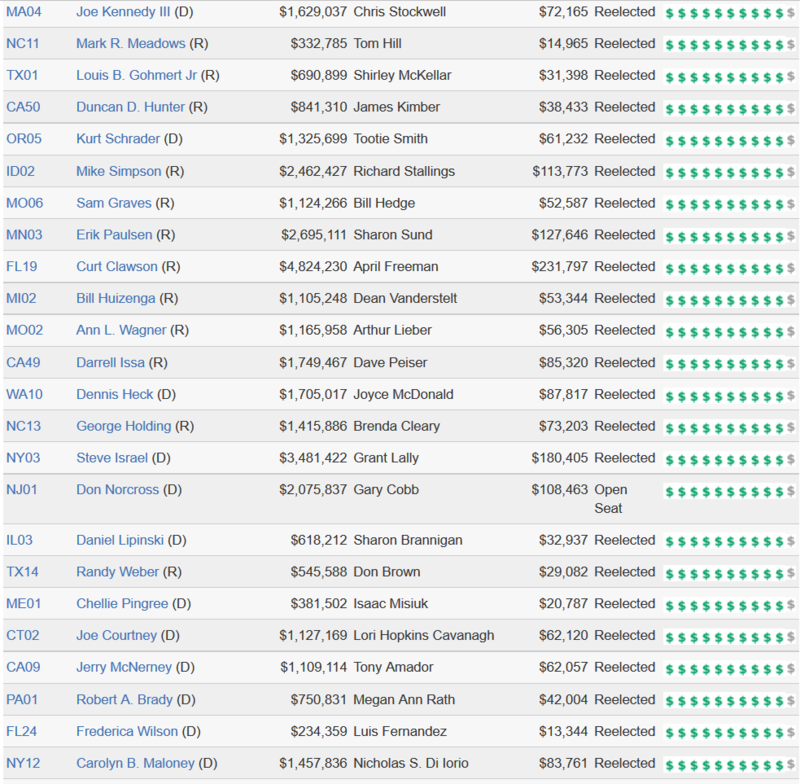 The Supreme Court did not touch the limits on donations to candidates or committees in Citizens United. 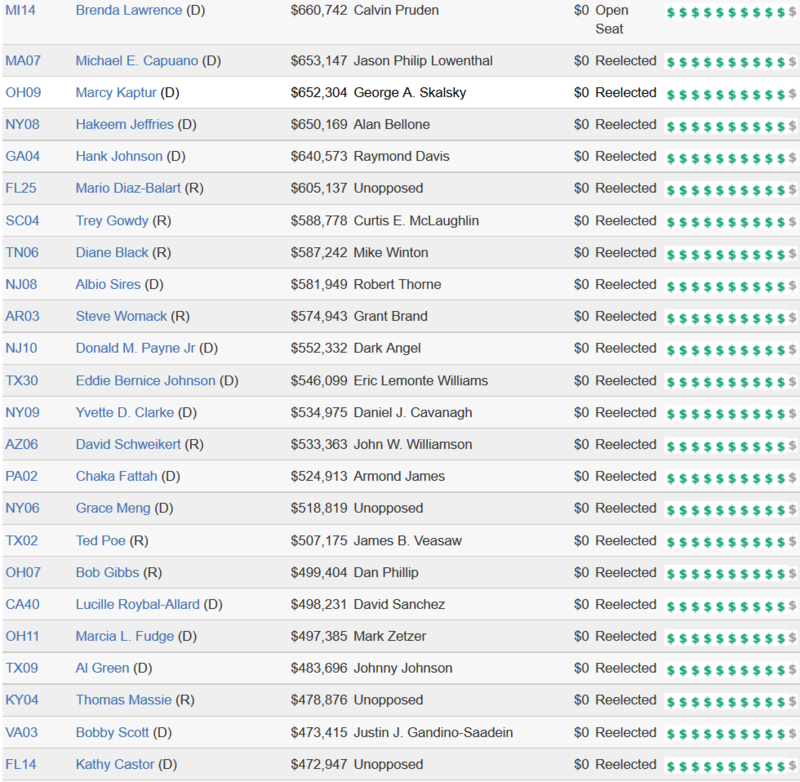 The plaintiff challenging the limits, Shaun McCutcheon, is an Alabama businessman and member of the Republican National Committee. 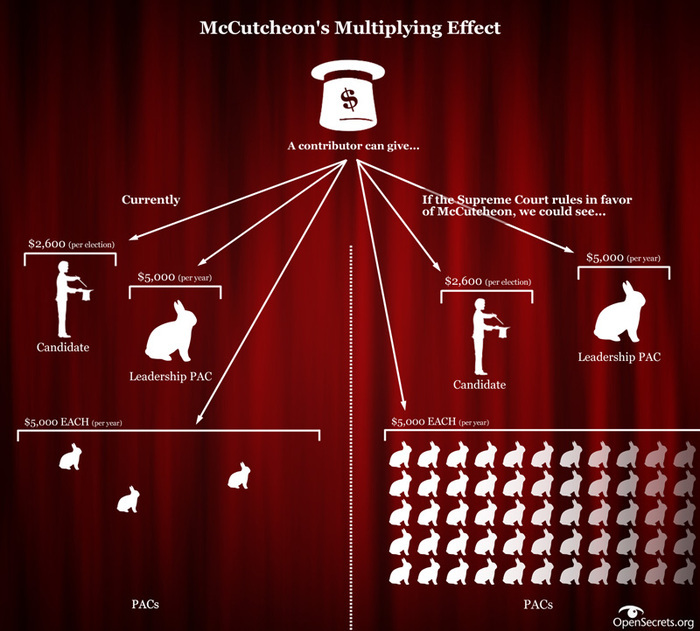 What is the court trying to decide in McCutcheon? 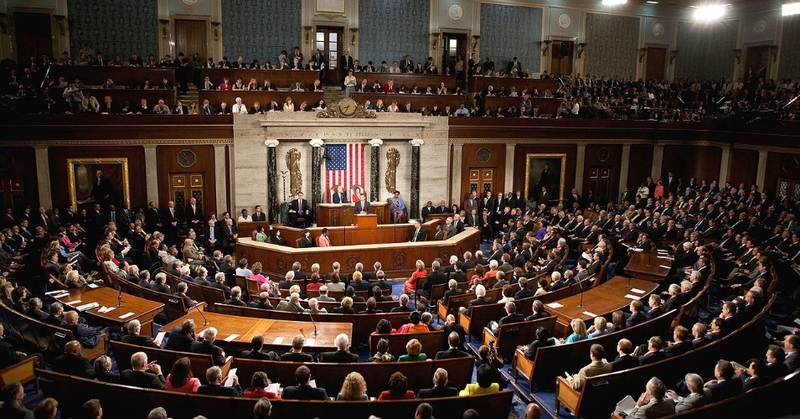 The Supreme Court is being asked to decide whether those overall limits are unconstitutional. 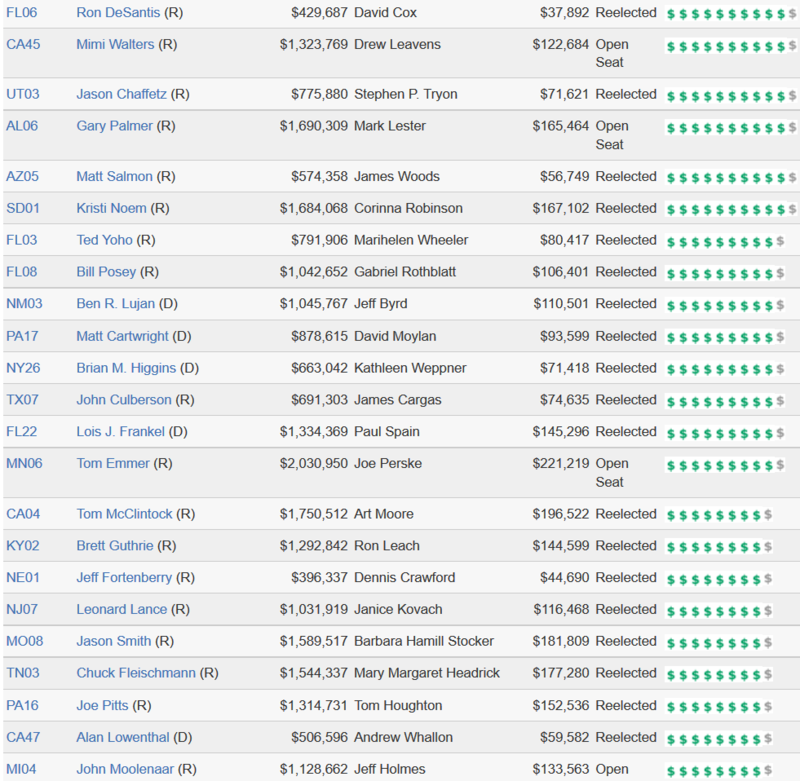 In 2012, McCutcheon gave donations to 15 different federal candidates. 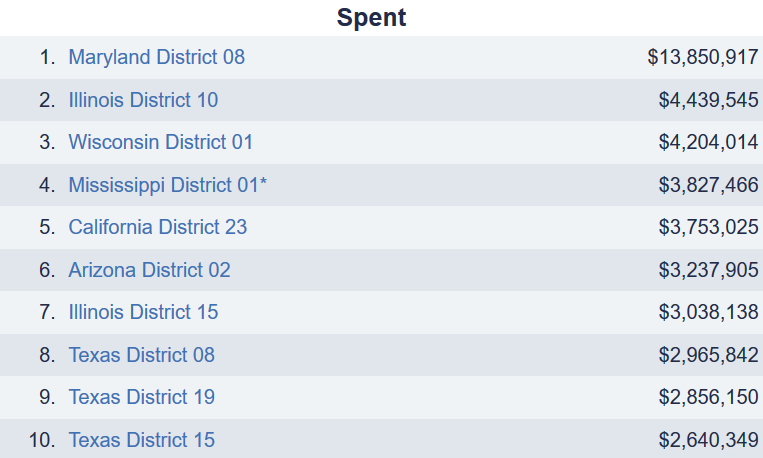 He has said that he wanted to give more money to even more candidates, but the limits prevented him from doing so. 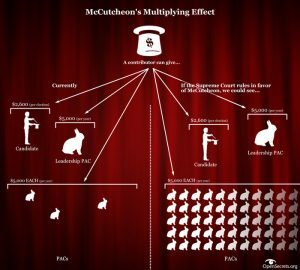 Citing the argument successfully made in the Citizens United decision that political contributions are a type of expression that should fall under the First Amendment’s protection, McCutcheon is claiming that the overall cap infringes on his right to freedom of speech. 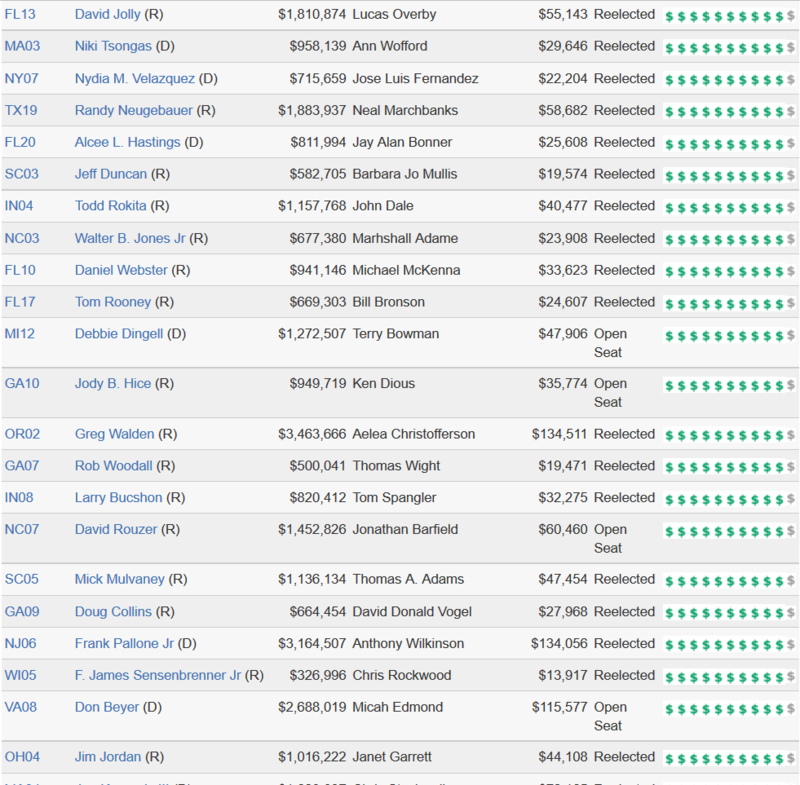 Opponents are arguing that without the overall limit, any limits are essentially useless. 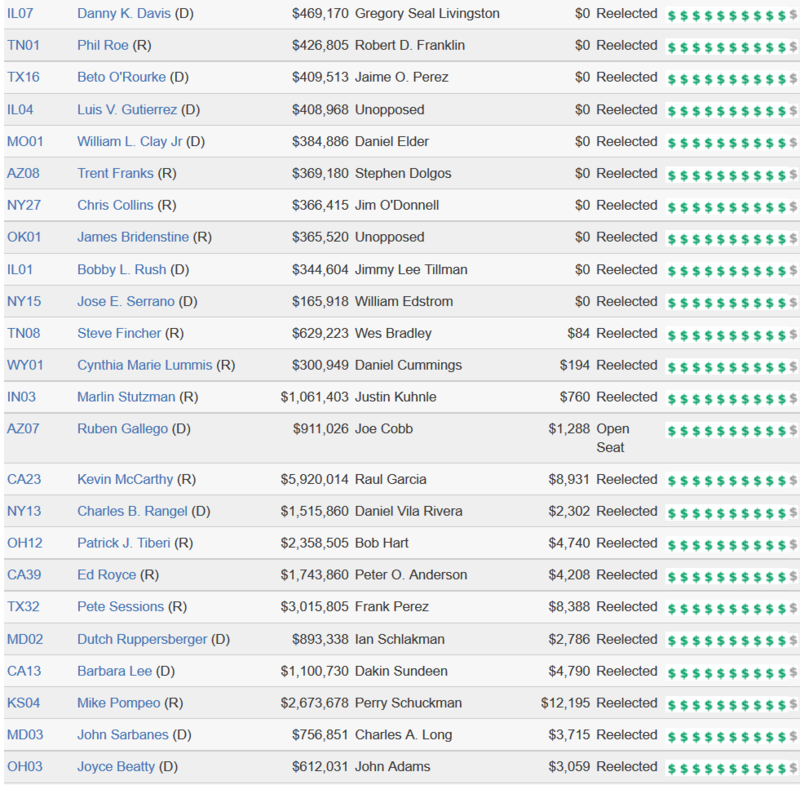 Even if an individual may only give $5,200 to a candidate in an election cycle, if the donor is allowed to give an unlimited amount to other committees — such as the candidate’s leadership PAC, joint fundraising ventures or other organizations affiliated with the candidate — the money can still flow directly to the candidate, who will be aware of the source of the funds. 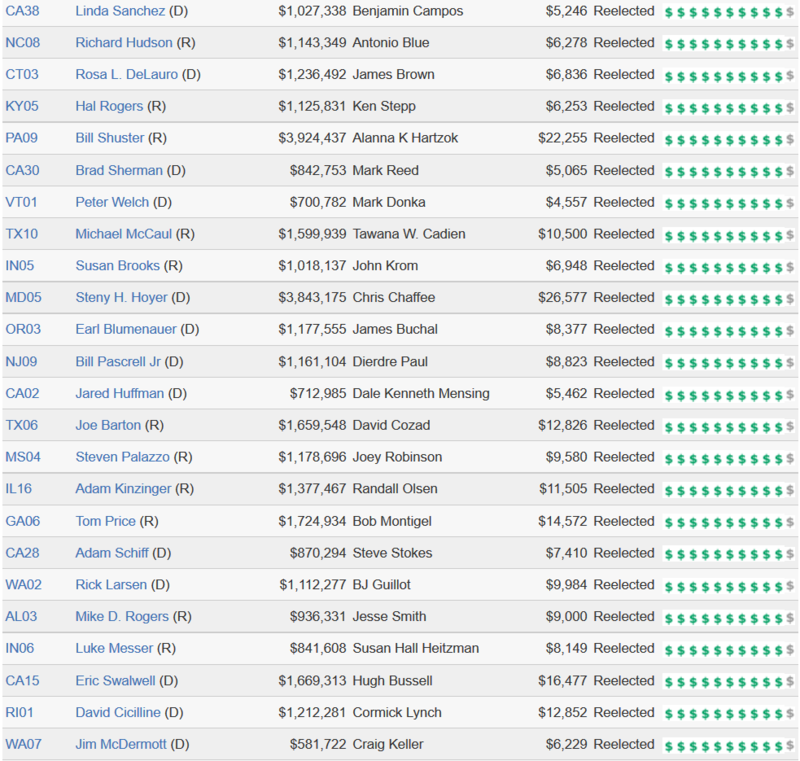 This would allow wealthy individuals to dominate candidate fundraising and possibly give them undue influence. How many people are actually affected by these limits? While it’s impossible to say how many people would like to donate an unlimited amount of money but don’t because the limits exist, we do know that only a very small handful of people even come close to reaching those limits. 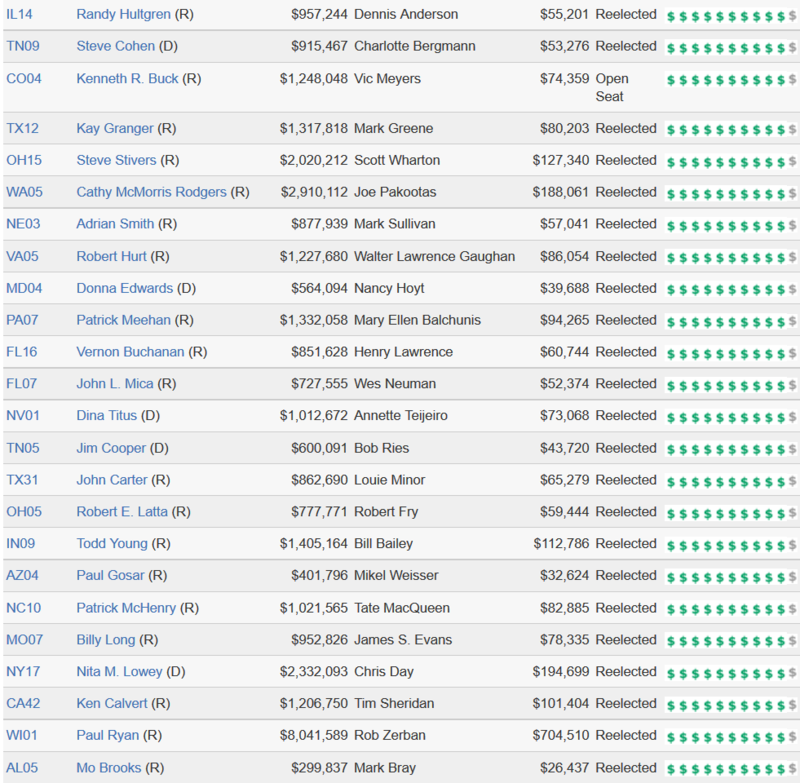 Few people make substantial political contributions at all. 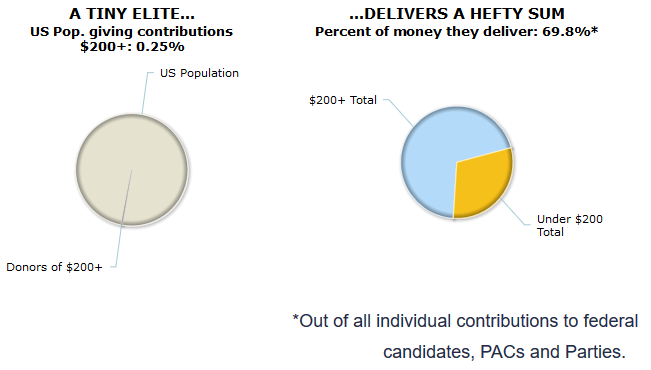 Out of an estimated 310 million Americans, we estimate that just 0.4 percent make a political contribution of $200 or more (large enough to be individually tracked in FEC data). 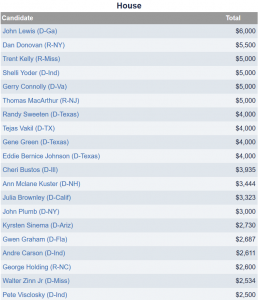 And even among those who give more than that, only about 0.1 percent give $2,500 or more. The number of donors who max out on the overall cap for donations is much smaller. 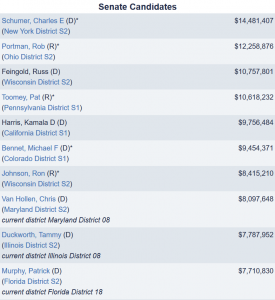 According to CRP data, only 591 donors in the entire country – or 0.0000019 percent of the population — gave the maximum of $46,200 to federal candidates in 2012, accounting for only $34.1 million of the estimated $3.1 billion raised by federal candidates in the cycle. 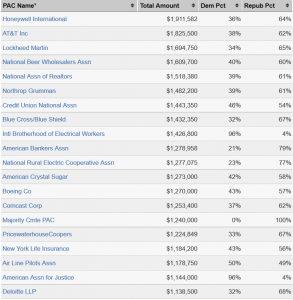 All 2012 cycle figures are based on data released by the FEC on November, 14, 2013. 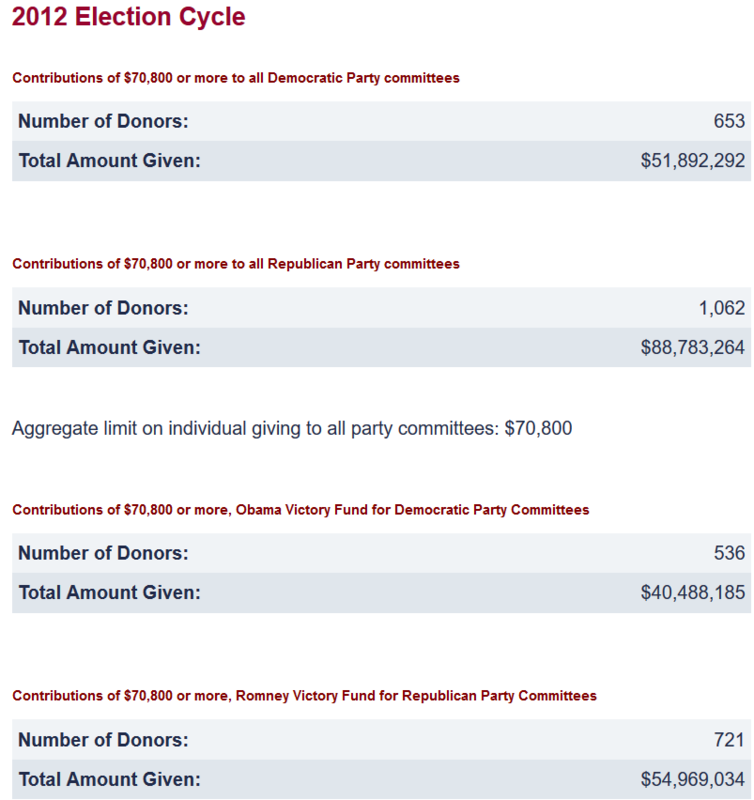 McCutcheon v FEC refers to a 2012 challenge by Shaun McCutcheon and the Republican National Committee to the biennial limit on overall individual contributions to federal political committees, with plaintiffs charging that the limit violated their First Amendment rights. The Supreme Court is expected to hear the case in the Fall of 2013. During the 2012 Election Cycle, the aggregate biennial limit for an individual was $117,000. 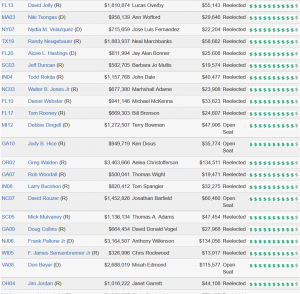 (See contribution limits.) 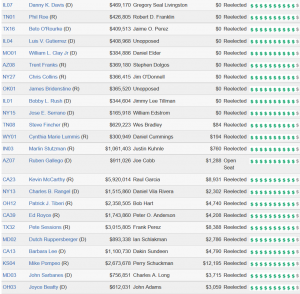 Individual donors could give no more than $70,800 in a cycle to all PACs and party committees. 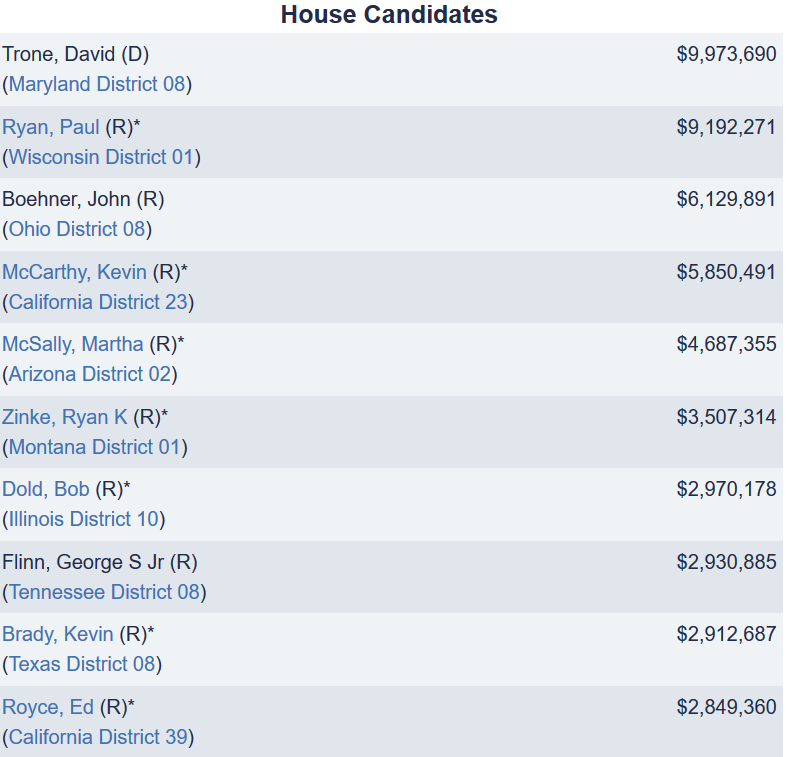 In addition, individuals could give no more than $46,200 total to federal candidates during the 2012 election cycle. 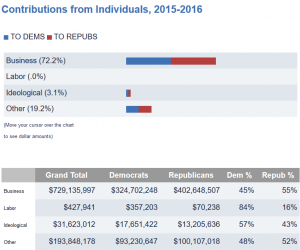 To get a sense of the number of individuals who might take advantage of an increase in or elimination of the aggregate contribution limit, CRP examined how many individual donors gave the legal maximum to Democratic and Republican party committees, as well as to candidates. 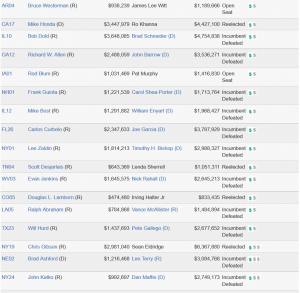 We also looked at how many individuals gave $70,800 or more to the Obama and Romney Victory Funds. 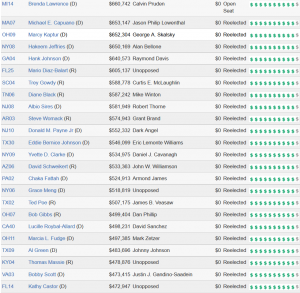 To give a sense of the potential of large donors, we are also showing the number of soft money donors giving $100,000 or more in the 2000 cycle to the Democratic and Republican parties as well as just the Democratic National Committee and the Republican National Committee. 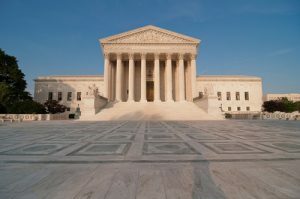 On Oct. 8, the Supreme Court will hear arguments in McCutcheon v. FEC, a case challenging the overall contribution limits for individual donors that were first enacted in the mid-1970’s. 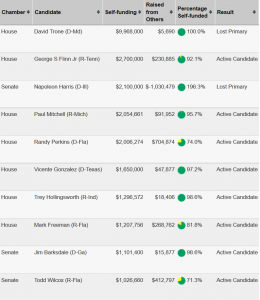 The Center for Responsive Politics estimates that 1.2 million people gave contributions of $200 or more to presidential or congressional candidates during the 2012 election cycle. 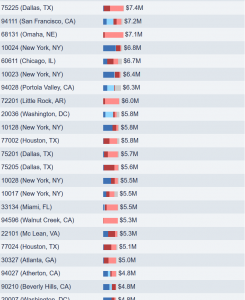 That’s a tiny fraction — one-half of 1 percent — of the total adult population of the U.S. 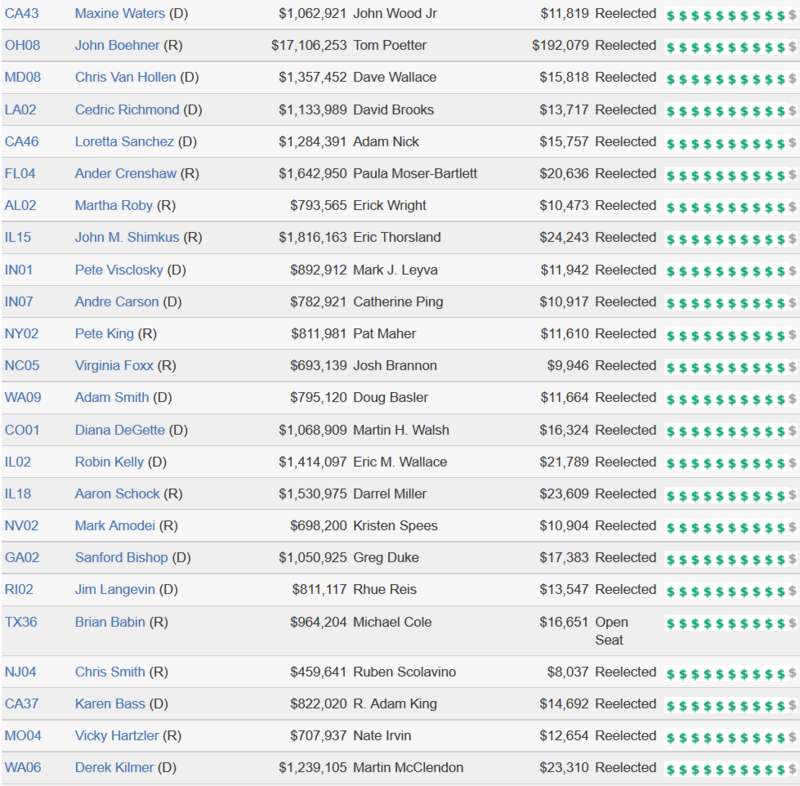 These donors gave a total of $2.8 billion to federal candidates, party committees and leadership PACs; that’s about 64 percent of all of the funds raised by these organizations. Images: Supreme Court image via Flickr user Mark Fischer.